Tamilnadu is the land of dharma, Vedas, Vedanta, and Bhakti. Tamizh culture (Kalacharam) is a glorious example of dharma’s open architecture  and therefore the Tamizh identity is inclusive. It cuts across religion, jatis, class, and geography. Many thousands around the world identify themselves as Tamizh. Since ancient times, many from outside Tamilnadu have sought shelter inside, and many from outside have come in and also enriched its culture. Tamizh is not just a spoken language and text but an entire culture. Tamizhs are large hearted and only reject those individuals whose own worldview demands and injects the virus of exclusivity. In this Tamizh framework, no individual or jati or community or religion can claim or exercise a monopoly over Truth. Devotees of Murugan or Amman and other manifestations of the divine in the diverse Hindu traditions do not seek to impose their belief system on others. This includes the followers of Indic systems such as Jainism or Buddhism which have also coexisted since the Sangam era, as well as those who embraced newer belief systems that originated outside India such as Christianity or Islam or Judaism. In such an open architecture, diversity thrives and unity is established based on mutual respect . Dr. Abdul Kalam is an illustrious example of a practitioner of Tamizh Kalacharam whose interactions with others was based on mutual respect. The Tamizhs perform Pooja to a multitude of Devis and Devatas and are happy to accommodate two more, with none claiming and imposing superiority over everyone else. This has been the Tamizh and Indian way for thousands of years. India is a civilizational state and is perhaps the only civilization that has continually endured since the most ancient of times. Why? There are many reasons, and here is one: Every nation and civilization has to go through a series of crises and upheavals. Each of these challenges demands sustainable solutions. A monoculture can only produce one solution approach that tends to be all-or-nothing and eventually loses out. Indic diversity continually produces many living Gurus, Rishis, and masters whose bold, varied, and novel decentralized solutions rooted in dharma eventually prevail. Hence, this dharmic form of inclusivity and diversity must be preserved for Tamilnadu’s and India’s long-term stability. However, this inclusivity is being blatantly misused by a few religious zealots who adopt a history-centric version of Christianity, one of the fastest growing religions in Tamilnadu. To better understand this very important threat, we review a graduate school thesis submitted by a Tamizh Christian convert to a US university , advising his western thesis advisors on the best options to convert devout Hindus to their brand of history-centric Christianity. This thesis specifically focuses on how to get Tamils to lower their defenses against conversions in Tamilnadu (“to develop a meaningful form of spirituality which will minimize Hindu opposition to Christian discipleship“). Therefore, it makes sense to limit our discussion to TN noting that if this TN pilot-project succeeds, it will be applied after region-appropriate modifications, to all of India. In this series, we attempt to understand this history-centric Christian view of Tamil Nadu, and the methods being adopted to subvert Tamilnadu’s open architecture. In this introductory post, we provide a high-level summary of this ongoing battle for Tamilnadu. The term History-centrism was coined in the book ‘Being Different‘  and is fundamentally different from the Embodied Knowing traditions of dharma in Tamilnadu and India. This brief two-paragraph description from the book is central to understanding the threat posed to Tamilnadu by this Orthodox or Scriptural or History-Centric Christianity (HCC). HCC is founded on an unconditional, unquestionable, absolute, literal belief in the Nicene Creed. Unless we can fully grasp the full meaning of history-centrism, we will be unable to properly and completely characterize the threat; and without clearly identifying the threat, no counter-response can be developed. What is inside this Nicene Creed that is the central tenet of this extreme version of Christianity? Tamizhs belonging to all religions and Jatis need to understand this as well. The beliefs are quite simple to read and memorize. We again turn to ‘Being Different’ for a summary of the ancient Nicene Creed that was adopted in 325 CE by the first council of Nicaea. This remains the only set of beliefs that is accepted by all major denominations of the Christian faith, including those in Tamilnadu. The Nicene Creed was translated into Tamizh by the Catholic Missionary Francis Xavier in the 1540s and used to convert tens of thousands of the Parava fisherman community. He is quoted as having baptized ten thousand Hindus in just one month . Any moderate Tamizh Christian would focus on emulating the positive qualities attributed to Jesus and not interpret this literally as incontrovertible historical truth, but for the fundamentalist, this belief is absolute and those who do not accept this (including moderate Christians) are treated as hostiles. To quote from the thesis, “the bible is God’s revelation and Jesus Christ is the only way to God” and the aim is to “communicate only Jesus Christ and his Gospel to the Hindus”. Why is HCC attractive to some converts? An intriguing question arises when we read the thesis. Why would a Tamizh who is knowledgeable about Vedanta, Bhakti, and other pluralistic traditions of dharma that were nurtured in Tamil Nadu for more than a thousand years, embrace such an extreme Christianity? Why would they prefer this submission to a foreign authority over their own native sophisticated adhyatmic practices that have been available to everybody? Let us examine this question from the thesis author’s perspective. Indian Rishis, Acharyas, and Gurus may have spent thousands of years searching for the Truth. The Vedas acknowledge the uncertainty about the nature of ultimate reality. But to a believer, the Nicene Creed provides historical evidence of Jesus as the first and only son of God who embodied the absolute and complete truth. 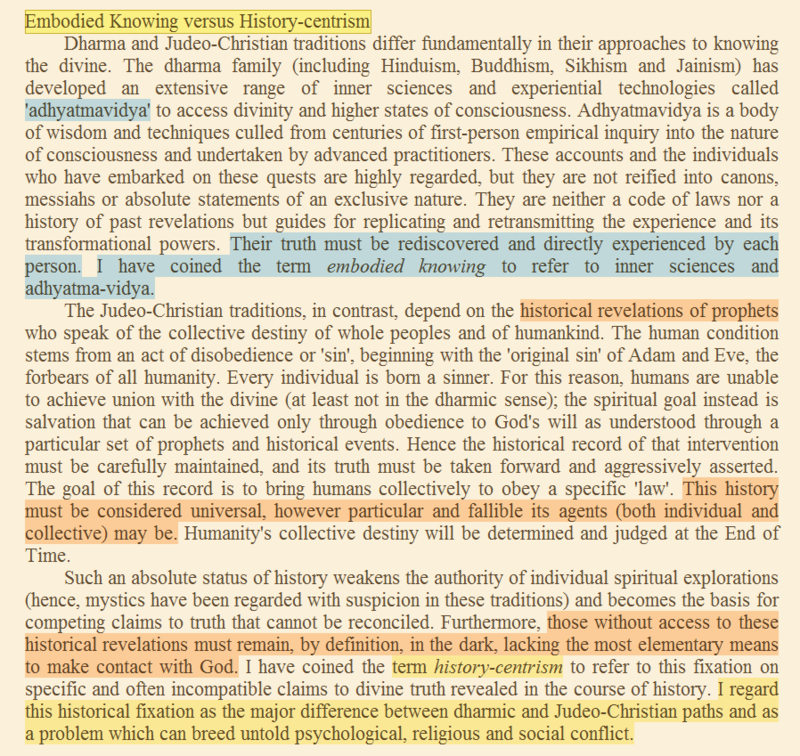 While darshanas and Vedanta schools provide intellectual debates and philosophical explanations and techniques to discover the truth for oneself, the HCC truth claim in the Nicene creed provides certainty and proof to its believers – conclusive flesh-and-blood evidence of the Truth. As the thesis  claims “In Christianity, God is the only God who revealed Himself in the historical events of the world. However, in devotional theism, he is only a philosophical concept or a mythological figure“. The absolute and divine truth manifested itself once and exactly once on this earth in history exclusively in the form of Jesus Christ. There is no place for doubting Thomases. One can therefore dispense with the uncertainty of the real world, rational explanations, philosophy, spirituality, or intellectual debates about alternative perspectives. The Nicene Creed Jesus as the sole living embodiment of truth is the answer to all questions. In the mind of such a believer, this makes HCC superior to all other traditions. Of course, this requires an immediate and complete rejection of any thought system or data that conflicts with HCC and therein lie the seeds of violence in a literal interpretation of the Nicene Creed. The Divine justification to enforce the Nicene Creed all over the world is done by suitably interpreting the Great Commission. On an individual level, History-centric Christianity is not an issue if we operate under the principle of mutual respect. For example, it is perfectly fine if a Christian chooses to take the exclusivity and historical claims inherent in the Nicene Creed dogma literally for his or her own personal religion, while also fully and permanently respecting the equal validity of alternative belief systems for others that reject this dogma. This is the Tamizh way since ancient times. Unfortunately, this is not the case with HCC whose interpretation of the ‘Great Commission’ brings it in direct conflict with other thought systems. The Nicene Creed serves to boost the collective ego of followers. Even the possibility of any other divine manifestation before or after Christ, which can supersede the Nicene Creed is summarily dismissed. Its implications for Tamil Nadu are serious, on par with Wahhabism in Islam that is wreaking havoc, except that the violence and destruction in this battle is below the surface. The Great Commission (GC) has been used as a convenient scriptural sanction for ‘discipling’ Hindus who worship ‘false gods’. The Great Commission carries the instructions of a resurrected Jesus to his apostles to spread his teachings to all parts of the world. There appear to be many versions, but the key version used by History-centric evangelists is the one in Matthew 28:16-20 , where the instructions are given to followers to baptize all people around the world in the name of the Father, Son and Holy Spirit . The Great Commission is interpreted recursively by extremist Christians and evangelists to convert Hindus in India today, i.e., the GC is not just limited to the original disciples of Jesus, but to all the disciples of the disciples as well, and is thus a perpetually active instruction until kingdom come. If total submission to the Nicene Creed is the desired end state of a Tamizh Hindu convert, then the fundamentalist interpretation of the Great Commission provides the necessary scriptural sanction and justification to achieve this tragic end. In tandem, these two ideas have been useful in massively increasing the membership count and global market-share of Christianity, and spreading the power of the various churches across the globe. A subscription to the Nicene Creed brings you all the collective benefits of being an official member of a globally organized, rich, and powerful religious organization whose headquarters reside in the west. On the other hand, when its impact on an individual is evaluated on its own merit, HCC suffers from serious deficiencies and has a dismal track record when it comes to problem-solving, which requires deeper scrutiny. Clearly, it contains no sustainable solutions to the psychological problems and lifestyle challenges that afflict individuals today. It is incompatible with Yoga and meditation practices of India that is bringing so much of happiness and spiritual tranquility to millions around the world. It lacks (and does not need) the adhyatmic (spiritual) aspect as well and does not focus on self-realization. The variety of festivals, the colors, the sounds, the sacred chants, the harmony of woman and man and nature, all of which arise from Hindu cosmology are entirely missing. Only events that serve as historical reminders of the Nicene Creed are useful to commemorate. Consequently in Europe and North America, despite several centuries of monopoly, we are witnessing a steady decline in the numbers of HC Christians. An increasing number of disenchanted and disturbed individuals are seeing through the hollowness and futility of this extremist HCC ideology. They are moving toward atheism or moderate Christianity. In both cases, these people have turned to Yoga and meditation techniques that originated in dharma tradition. The sobering fact is that Nicene-Creed History-Centrism is neither necessary nor sufficient (and is absolutely of no relevance) for any person to reach a higher level of consciousness and self-realization. How does this orthodox Christianity resolve this problem? There are two ways to do this – the honest way and the dishonest way. The honest solution is a dharmic resolution, which we discuss first. Many moderate Christians in India have consciously or subconsciously adopted this approach, either completely returning to their dharmic Tamizh roots, or embracing an Indic version of Jesus that rejects the exclusivity and historicity of the Nicene Creed dogma. In the latter case, a devotee worships Jesus or Mary or any other deity as their own Ishta Devata while fully respecting and acccepting the traditional deities of Tamizhs, their village and sea deities, and their family deities, as equally valid. Here, Jesus is considered (by those who believe) as one of the many avatars or gurus or great thinkers without asserting superiority and therefore, there is no need to convert others to follow the “one true God”. Diversity is preserved. Importantly, this message is passed to following generations so that their children do not fall prey to churches and padres that preach extreme Christianity. The great commission is not interpreted as a perpetual appeal to convert, but as a encouragement to emulate noble ideas. In such an interpretation, HCC+GC is not a militaristic vehicle to assert and enhance a collective identity and destroy other faiths. A person who achieves great progress in this dharmic path of self-realization has the potential to become a living Guru and emulate all the (non-mythical) achievements attributed to Jesus. Among the multitude of manifestations of the divine in India, one more is easily accommodated, as noted Tamizh thinker and commentator S Gurumurthy has pointed out many times. Such a solution preserves mutual respect and a live and let-live attitude. However, such a solution is also a threat to the clergy and history-centric churches since it eliminates the middlemen. Therefore, these vested interests denounce such an amicable approach as ‘unchristian’ and instead promote an alternative predatory approach that preserves their existing power structure. However, the historicity of the Nicene Creed is tied to Europe and Middle East and is completely alien to Tamizh and Indian culture. To execute GC in India requires an adaption of the GC that is suitable to the Indian context. This is achieved through a practical technique that Christian theologians in the 1950s called contextualization . The thesis quotes the following definition of contextualization: “the translation of the unchanging content of the Gospel of the Kingdom into verbal form meaning to the peoples in their separate culture and within their particular existential situations”. The thesis states that contextualization is a “missiological necessity” and that the Bible itself as an example, with the incarnation of Christ as the best example of contextualization. The apostle Paul is considered the person who best contextualized the Nicene Creed, and the thesis cites this remarkable quote about Paul: “he became all things to all people, and he did that to win more people to Christ” . We propose the following top-down four-step process to conveniently summarize the conversion approach for Tamil Nadu that is described in the thesis. Nicene Creed specifies the unchanging end goal. Great Commission decides the strategy required to achieve this goal. Contextualization identifies the model that fulfils the Great Commission and is scalable, dynamic, and best suited for a context (e.g. Hindus in India or Tamil Nadu). 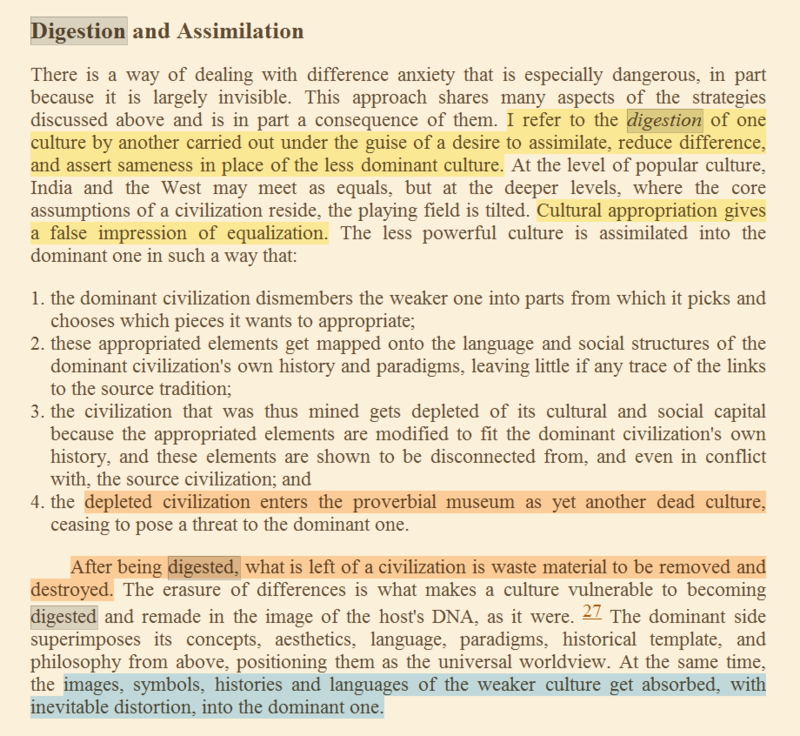 Digestion refers to the means and methods used to implement a contextual model for converting (‘discipling’) people belonging to one or more communities or Sampradayas. The first two levels are common to all countries and regions and specifies the high-level goal and strategy. The third level of contextualization is applicable to a specific country, or region such as Tamil Nadu when the country is diverse. The fourth level of digestion implements a contextualization ‘use case’ of how best to harvest Hindu souls belonging to specific ‘castes’ or sampradayas. The achieved harvest numbers versus the targets are tracked and updated on a regular basis and stored in databases. A quick search of the internet can provide examples. The thesis communicates that the aim is not to reject but to digest Hinduism into HCC quite clearly: “Christ can be communicated not as the destroyer of Hindus, but as the Crown of Hinduism”. Furthermore, one “accepts the biblical truths revealed in the writings of the Hindu saints on the assumption that Christ has revealed His light in the Hindu world in the past and He is also actively present now“. Digestion is not done randomly or in haste, but carefully, in order to minimize the risk of the digester’s own traditions getting changed. It is carried out by smart evangelists with full awareness and clarity about the risk versus reward structure inherent in this delicate process, with the first and last goal of preserving the History-centrism encoded in the Nicene Creed. Therefore, the need for deception is critical. The United Nations is planning to make cultural appropriation illegal. This four-stage process is set up so that no step is redundant. The third and fourth steps involving contextualization is always designed so that it preserves and propagates history-centrism as enshrined in the Nicene Creed at any cost by following the Great Commission. This is done by missionaries in order to eliminate or at least greatly minimize any chance of “syncretism” or contamination of this “pure” Christianity by the age-old village and sea Gods and Goddesses and traditional deities of Tamil Nadu who are “false gods”. The thesis is very careful about how the mechanics of the digestion process should work. There is no equal place for our native Tamizh deities in HCC. Once digestion is complete, they are to be excreted as waste. Syncretism damages both dharma traditions and History-centric Christianity whereas Digestion only distorts dharma traditions while strengthening HCC. The thesis explicitly clarifies that “Contextualization is not syncretism, because syncretism is the amalgamation of various pagan beliefs with God’s truths” and it cannot compromise the Gospel with the heathenism of Tamizhs. The author is clear that “the Hindu text should be used to support the Christian view“. "Syncretism is an apostasy that is condemned in the Bible". The extraordinary level of detail to which a Tamizh convert to HCC can go to, in order to preserve the beliefs in the European Nicene Creed, prove his loyalty to his western masters, and reaffirm the irreconcilable difference and superiority of his new found faith over his lower native Tamizh traditions can be seen in this statement: “I have used God with a capital “G” in places where reference is made to a deity of a monotheistic religion; a small “g” is used in places where reference is made to a deity to one of the gods of the Hindu pantheon“. The inherent casteism in the thesis is also stunning. It explains how the mass-conversion of poor and ‘low-caste’ Tamizhs have adversely affected the quality of the Christian faith, and that they were so far unable to convert many ‘upper caste’ Hindus. In fact, the main goal of the thesis is to rectify this situation and bring ‘quality’ to HCC. Operating within this safety net, the evangelist can safely navigate through any culture in the world and convert families en masse. One can incorporate additional “contextual” layers without disturbing the dogmatic core. The fourth step ensures that the implemented contextualization model is maximally effective in its marketing impact on the target audience. Contextual layers are created in a culturally appropriate manner in order to simulate the appearance of a dharmic solution. In short, contextualization and digestion employ deception and the net result is the destruction of indigenous traditions to feed and strengthen the predatory system. Therefore, for contextualization to succeed, a cultural genocide is necessary and if contextualization wins the battle for Tamilnadu, the cultural genocide of Tamizhs is guaranteed. A dogmatic system that simulates an external dharmic layer would necessarily have to appropriate Tamizh traditions and techniques. However, dharma traditions of Tamilnadu and India are incompatible with Nicene Creed dogma or indeed any other Abrahamic dogma, and therefore cannot be directly or openly borrowed. It can only be digested. In other words, the original meaning, intent, objectives are deliberately erased. Note the sheer hypocrisy here. HCC’s own beliefs are deemed unquestionable and absolute. Their own ceremonies that mark history-centrism are deemed meaningful while the customs that have been held sacred by Tamizhs for thousands of years can be mangled, bent, and distorted at will since they are false and no one cares anyway. Once this happens, the dharmic symbols, metaphors, traditions, techniques, temple architecture, Puja, Kavadi, Kumbhabhishekam, Bhakti, Jnanam, Thiruvizha, … practically every dharmic element in Tamilnadu belonging to every class and community can be cannibalized and reinterpreted spuriously in support of Nicene Creed and to assert its supremacy. The poetry and songs of the Azhwars and Nayanaars, the wisdom of the Siddhars and so many Tamizh saints can all be deconstructed and falsely reinterpreted to support this extreme form of Christianity. Such a contextualization is required to reduce the difference anxiety  in Tamizh Hindus who are induced to convert but are repelled by the alien dogmatic and racist roots of history-centric Christianity. Digested customs allow Tamizh Hindus to voluntarily and happily enter the spider web of the Nicene Creed “on their own terms” without giving up their age-old customs and traditions. The aim is not to win over a few Hindu intellectuals but to appeal to entire masses and communities. The thesis explicitly identifies the central role of family in the Tamizh Hindu society and aims to convert and subvert entire families. Targeting individuals is expensive, not scalable, and runs the risk of the person returning to his dharmic family fold after being socially shunned . The Breaking India threat is real and analyzed in the best-seller by Rajiv Malhotra and Aravindan Neelakandan . This book is a must-read and is available in multiple Indian languages. An upcoming conference with an exclusive focus on Tamilnadu will be studying related topics. The threat is not just to Tamilnadu but to all other Indian states as well. A superficial unity and pop culture based on speaking Tamizh and watching Tamil films is woefully insufficient to defend against this sophisticated and organized threat. Only the deep culture of Tamilnadu rooted in dharma has the capability to integrally unite and prevail in this battle. It is important for Tamizhs to understand the depth of their culture that they have inherited from their ancestors, and the evangelists are aware of this too. Tamizh separatism encouraged by HCC converts and their western masters is specifically designed to widen faultlines among Indians and between Tamizhs . A first step could be the bifurcation of Tamilnadu like what happened to Telugu-speaking Andhra Pradesh with each of the two new Telugu states dominated by a global History-centric religion. Tamizh and Hindi and Kannada speakers are cleverly drawn into futile linguistic and culture wars in a digital era where on-demand mobile translation between Indian languages is becoming a reality, while the Breaking India process continues unhindered. The Aryan Invasion Theory (AIT) is an especially important propaganda tool in this thesis. It greatly aids digestion and is crucial for alienating the ordinary Tamizh from the traditions and culture of his and her own ancestors and to turn new converts against their own communities. As Swami Vivekananda observed: “and then every man going out of the Hindu pale is not only a man less, but an enemy the more” . A knowledgeable observer of Indian affairs commented: "We must realize that the real issue isn’t regional languages causing chauvinism as much as it is de-linking from dharmic culture to create Westphalian problems". . The negative impact of this cultural genocide and wholesale destruction of Indic customs is balanced by projecting a positive public image of the clergy and churches who are portrayed in popular Indian media and movies as social justice champions who feed and educate the hungry and poor Tamizh, as kind nuns who shelter orphans, and as NGOs that fight gender inequality and caste-discrimination, etc. The beauty of contextualization is that in the future it can be potentially accomplished by shedding its ‘Breaking India’ image. How? We conclude this introduction with this discussion. Contextualization, when perfected, can allow a HCC convert to be ‘India first’ and ‘Tamizh first’ in external appearance. Note that in the four-step process, only the first two steps are non-negotiable. The last two steps are adaptive and context-dependent. Unity of purpose with HCC churches and its chosen people located outside India is based solely on the shared loyalty to the Nicene Creed. Such a convert will be able to go to the border in Kashmir or Arunachal Pradesh and lay down his life as a martyr not for Bharat Mata, but as a soldier of an India that surrendered to The Kingdom of Christ. During peacetime, he/she will perform Christunatyam and practice Christian Yoga. Every relevant aspect of existing Tamizh traditions will be digested and simulated for superficial display in such a Taminadu, but in reality, Mother India and its sacred geography and dharma would have perished. Contextualization of the Nicene Creed and its implementation using digestion is like a neutron bomb that will annihilate India's adhyatmic civilization while preserving its territorial assets and economic prosperity for the benefit of His Kingdom. It sacrifices India's atma to harvest its souls. Indra’s Net: Defending Hinduism’s Philosophical Unity. Rajiv Malhotra. Harper Collins. 2014. Being Different: An Indian Challenge to Western Universalism. Harper Collins. 2011. Difference With Mutual Respect: A New Kind Of Hindu-Christian Dialogue. RajivMalhotra.com. Breaking India: Western Interventions in Dravidian and Dalit Faultlines. Rajiv Malhotra and Aravindan Neelakandan. Amaryllis. 2011. Ashram: A Contextualized Model for Discipling the Hindus of Tamil Nadu. Poovelingam R. Solomon. Andrews University. 1994. Complete Works of Swami Vivekananda. Volume 5. On the Bounds of Hinduism. Prabuddha Bharata. 1899. Wikipedia entry for ‘Great Commission’. Thanks to the twitter handle that shared the thesis for review. Thanks to the ICP blogger and editor for constructive feedback. This is the third and final part of a serial review summarizing the literary evidence of Vedic traditions in ancient Tamil Nadu presented in Dr. Nagaswamy’s 2016 book: “Tamil Nadu: The Land of Vedas“. The book chapter covering Silapathikaram points out that this most ancient and famous Tamil epic is a brilliant application of Bharata’s Natyasastra. This has been covered in-depth in our previous posts. Here will provide a brief summary of the data regarding Vedic traditions present in these ancient Tamizh epics. Silapathikaram, authored by Ilango Adigal dates back to the first century CE, per Dr. Nagaswamy, who has also shown that the epic was recognized centuries long ago as the earliest and longest dance-drama written in Tamizh. The main characters are Kovalan, his wife Kannagi, and the danseuse Madhavi. Manimekalai is the sequel authored by Buddhist author Sathanaar and contains within it a critique of certain aspects of the Vedic traditions that were followed during that time. Note that Buddhism, Jainism, and Hinduism are all dharma-centric thought systems that existed in Tamil Nadu since ancient times. These epics would have been lost to the world forever, but for the untiring efforts of U V Swaminatha Iyer who painstakingly obtained the palm leaf manuscripts of these works and transcribed the information over many years. Vedic Yagnas were performed in the temples for Shiva, Shanmukha, Balarama, Krishna, and Indra in these capital cities. As Kovalan and Kannagi were traveling from Puhar to Madurai through a rural wooded area of the Chola country, they hear Vedic chanting by Brahman boys early in the morning. The story moves from the cultivated plains (Marudam) to the coastal areas (Neydhal) and then to the Paalai (intermediate / desert regions), where the presiding deity is Durga. She is celebrated as the one who defeated Mahishasura, making it crystal clear that he was not some local hero but an asura whose demise was welcomed. It is equally important that she is praised by forest dwellers as ‘the Veda of Vedas, and one who resides in the heart of Brahma, Vishnu, and Shiva as a flame of knowledge‘. 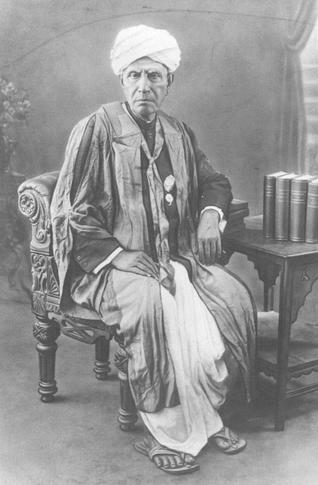 Dr. Nagaswamy notes “that the supreme knowledge of the Vedas was part of all sections of the Tamil people even in remote areas of the land of the hunters“. The author also notes that Vedic and tribal customs are mingled in the story in order to drive home the message that finally dharma won in the life of the chaste Kannagi. In the Mullai (high lands) inhabited by the cowherds, the presiding deity is Krishna. They mirror the Yadavas in the north and their main occupation was cow-rearing. Of course, the very name Madurai is from Krishna’s Mathura. Dr. Nagaswamy notes that most of the chapters are called Kaatais. This is not the same as Kathai (story, from Sanskrit Katha), but from the Sanskrit word Gaathaa (song), representing music compositions. 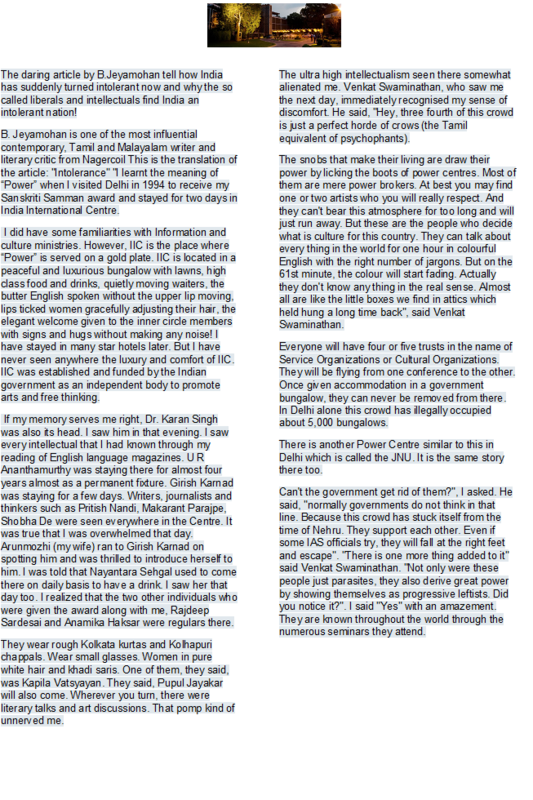 The events mentioned in the katturai kaathai chapter are important to mention. Goddess Durga (Korravai), the presiding deity of Madurai appears in Kannagi’s dream and informs her of her husband’s beheading by the Pandya king, a person who never tolerated adharma in his kingdom. “The king had never heard any call of the bell of justice at any time, but had always heard only the sound of Vedic chants“. Durga explains to Kannagi what a staunch defender of dharma the king was and narrates the story of the Brahman boy Dakshinamurthi, son of Vaartikan, who lived in the Pandya kingdom. The boy, by his flawless recital of the Vedas is richly gifted by another Brahman scholar Paraasara, who had only recently been gifted that wealth by the Chera king for defeating a group of Vedic scholars in a debate. 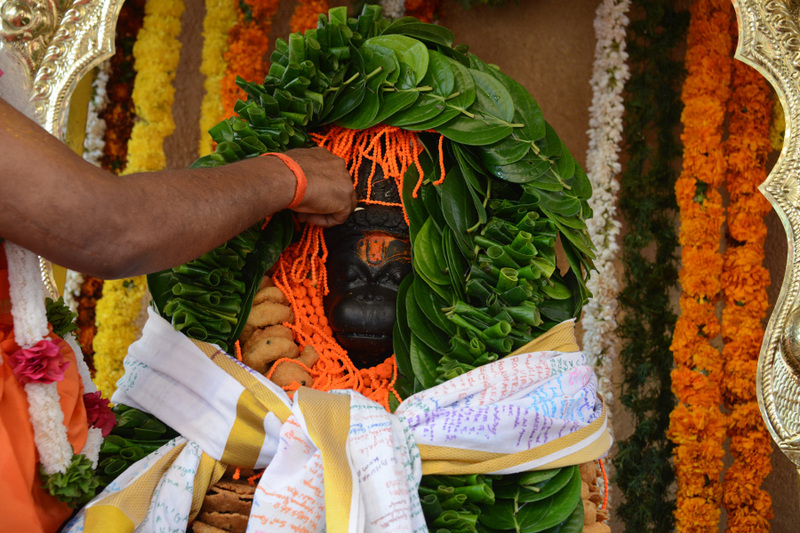 Jealous people falsely implicate Dakshinamurthi and get him imprisoned for theft. His mother wept at this injustice, and the Korravai temple door closed after this adharma occurred. The Pandya king immediately realized something wrong had happened, got to the bottom of the matter, released the boy and fell at the feet of his parents, seeking forgiveness. The Goddess further explains to Kannagi that Kovalan’s unjust end at the hands of the king was due to each one’s karma in their prior birth. Note the firm belief in Karma and reincarnation. This is a fundamental part of all major dharma systems – Hindu, Buddhist, Jain, and Sikh, but cannot be accepted by, and is incompatible with history-centric religions like Islam, Christianity, and Judaism . Dr. Nagaswamy notes that this story describes in depth, the Vedic lifestyle and education in ancient Tamil Nadu. Toward the end of the story, the Pandya king who had Kovalan executed, drops dead after being confronted by Kannagi and realizing his injustice. Such champions of dharma were the Tamizh kings! Fourteen days after Kovalan’s death, the Devas from Svargaloka take Kannagi with them and she is united with Kovalan there. Per Vedic customs, she remains a pattini forever. 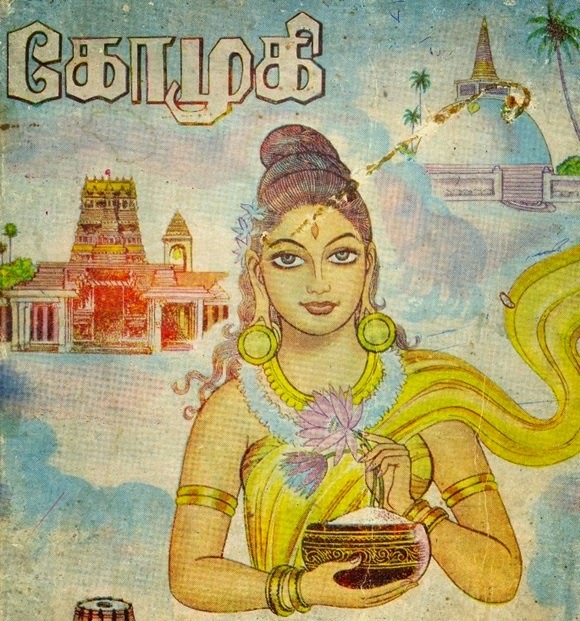 Kannagi has remained an icon for Tamil women from then to this day. The Chera king built a temple for Kannagi per Vedic tradition, installing her image made from stone obtained from the Himalayas and washed in the river Ganga. Kannagi is elevated to a Goddess. He then returns to his royal grove to perform the Rajasuya Yagna. The story concludes here. In this paragraph, we see the seamless transition from the material to the spiritual world without borders, and also the shared tradition between northern and southern India. This unambiguously demonstrates the seamless unity of Bharatvarsha, its cultures, and spiritual traditions since ancient times. The Panchatantra by Vishnu Sharma appears to be predating Silapathikaram by about 200 years. There are multiple stories from the Panchantra that enter the store at certain critical junctures, and, are crucial to the epic, per Dr. Nagaswamy. After squandering all his wealth pursuing Madhavi, Kovalan meets his friend Maadalan, a Vedic Brahamana. To boost his morale, Madalan reminds Kovalan of the charitable acts he performed earlier in his life and as part of their conversation, narrates to him the story of the ‘Mongoose and the Foolish Lady‘. To explain the treachery of the goldsmith that led to Kovalan’s execution, Ilango Adigal tells the story of the ‘Ungrateful Goldsmith‘ . The epic was written much later than Silapathikaram as a sequel focusing on Manimekalai, the daughter of Madhavi and Kovalan. The writer Sathanaar is Buddhist and has a polemical element to it and tries to promote the superiority of the Buddhist way of life over other dharma thought systems including Jain and Hindu. As part of the story, there is a description of the Vedic society viewed from the author Sathanaar’s Buddhist perspective. Dr. Nagaswamy notes that the Vedic system attached a lot of importance to the presence of the Hindu wife in all rites, particularly sacrificial rituals. In fact, the Patni was considered the prime necessity for a man to attain moksha. “Dharmadatta, a merchant was counselled by a Brahmana to marry a woman otherwise any number of sacred gifts would not give him spiritual merit“. The Buddhist author examines the key features of the various Indic systems at that time, especially the Vedic, before proclaiming the superiority of the dharma thought system that emerged from Buddha’s teachings. Manimekalai becomes a follower of Buddha at the end of the story. We thank Dr. R. Nagaswamy for his several decades of service to India and Tamil Nadu. At the second Swadeshi Indology Conference in New Delhi, February 2017, a lifetime achievement award was conferred upon Dr. Nagaswamy. ‘Tamil Nadu: Land of the Vedas’, Dr. Nagaswamy, Tamil Arts Academy, Chennai 2016. ‘Being Different: India’s Challenge to Western Universalism’, Rajiv Malhotra, Harper Collins, 2011. 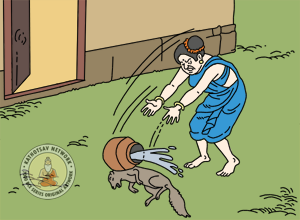 ‘Tales of the Panchatantra: The Brahmani and the Mongoose’. ‘The Ungrateful Man‘, from the Panchatantra. Melkote Temple. 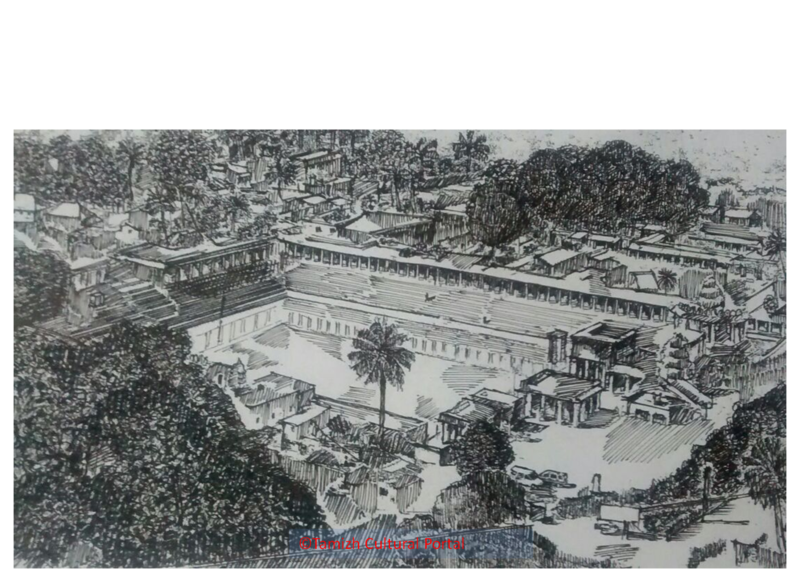 copyright and sketch by: TCP Artist Sanjana R.
In Part-2, we discuss the chapter on Tolkappiyam in Dr. Nagaswamy’s recent book ‘Tamil Nadu: The Land of Vedas‘, and share some broader points regarding the preservation of Indian languages along their deep roots in dharma. Tolkappiyar’s work on Tamizh grammar is the earliest extant one. We have extensively discussed as part of an earlier two-part series, Dr. Nagaswamy’s findings about the common foundation of dharma that supports Bharata’s Natyasastra, Ilango Adigal’s Silapathikaram, and Tolkappiyam. Dr. Nagaswamy mentions that the integration of Sanskrit tradition is visible in all three chapters, and has shown that it follows Natyasastra (see ‘part-2’ above). The ancient Tamizh poet Panampaaranaar notes that this text was composed after studying the common and popular usages, poetic convention of the Indians living in the region between Venkatam (Tirupathi) and Southern Kumari. Subsequently, he made this the technique of communication. Also, he had studied earlier texts on this subject. This simple but pertinent point reveals the nature of Tolkappiyam. Nagaswamy has noted elsewhere that Tolkappiyar was well-versed in Panini’s Ashtadhyayi. However, Tolkappiyam is not a simple Tamizh translation of Panini’s astounding grammar work . Neither was the content developed in isolation as some independent and perfect linguistic theory. Either of these options would have resulted in the work being imposed, either as ‘one-size fits all’ or ‘self-evident truth’, in a top-down manner on the people of Tamizhakam. This would not be a sustainable or harmonious solution. There is a deeper idea at work here. So how did Tolkappiyam come about? As the ancient poet Panampaaranaar noted, Tolkappiyam organically arose from the ground-up, after carefully studying the reality of common spoken, recited, and written Tamizh patterns already in existence in Southern India, and after analyzing prior texts. This ground-up approach is an important marker of the Vedic method wherein the real is considered the ideal, and preferred to the ‘abstract perfect’ that is at best, an approximation of reality. 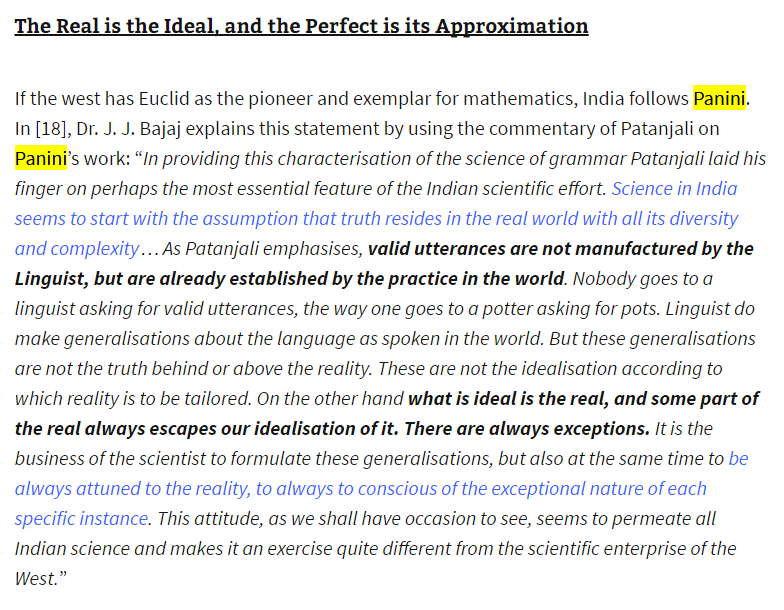 The excerpt below (courtesy Indicportal.org) that discusses Patanjali’s commentary on Panini, shows that Tolkappiyar mirrors Panini in adopting this scientific Indian approach rooted in ultimate reality. In addition to the aesthetic and deep-cultural unity across Bharatvarsha due to Natyasastra, we have evidence of a methodological unity that spanned India’s vast and diverse expanse since ancient times. This Indian approach will have a valid pramanam and naturally unifies, as well as produces a plurality of languages, each possessing a structure and beauty that is distinct, yet not separate. This impact is visible in India from the era of Mahabharata to this day because dharma teaches us to be garland-makers, not charcoal burners. In contrast, a top-down approach, e.g., seen in some Abrahamic traditions, is indifferent to any pramana and tends to produce a monoculture that annihilates and digests  all regional linguistic diversity, literature, and culture. Speculation aside, it is highly improbable, if not impossible for Tolkappiyam to be a product of some separate non-dharmic culture. It is a quintessential Indian work; a cultural treasure of dharma civilization that every Indian must be aware of. The poet Panampaaranaar further notes that Tolkappiyar got this grammar published in the royal court of King Nilam Taru Thiruvil Pandya. Prior to publication it was subject to review by the great scholar of Adankodu who was learned in all four Vedas and laws. This approach bears resemblance to the modern peer review process followed by scientific journals. Dr. Nagasway notes that it is indisputable that Tolkappiyar was guided by such a Chaturvedi Brahman, which accounts for the prolific use of Vedic concepts in the text. Per the famous commentary of Naccinaarkkiniyaar based on a cited Tamizh text, Tolkappiyam adopted the technical vocabulary followed by Agastya (Vedic scholars of the Agastya gotra settled by the Chola kings). Dr Nagaswamy notes the chapter on phonetics to date it to no earlier than 3rd century BCE (Brahmi script adapted to Tamizh, time of Ashoka), and based on the accounts of Tolkappiyar’s contemporaries, no later than the 1st century CE. 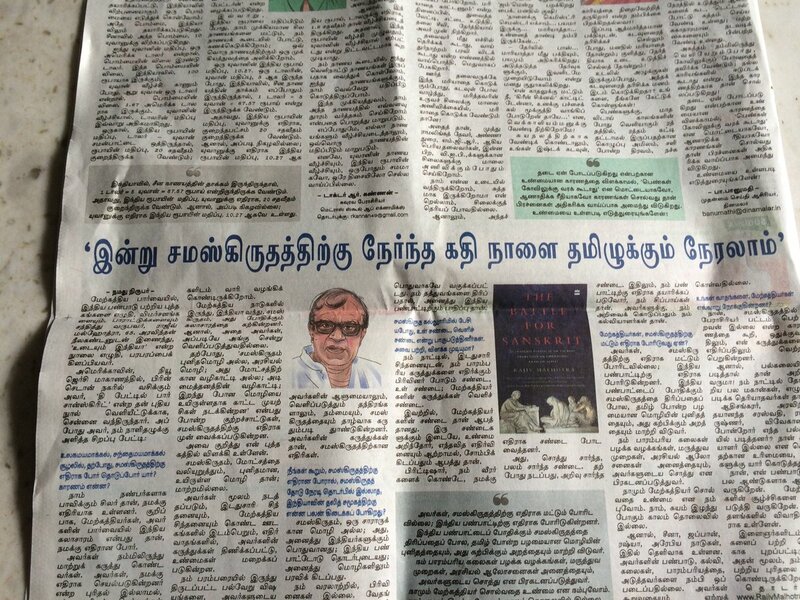 Furthermore, Nagaswamy says “The origin of Brahmi script in Tamilnadu could not be taken earlier than the first BCE. As Tolkappiyam refers specifically to the Tamil script, it could either be contemporary with first cent BCE or later. We are satisfied to note that it could be firmly placed in the first cent CE.” Refer to the book for a detailed discussion. Tolkappiyam refers to the four-fold Varnashrama dharma, and Dr. Nagaswamy notes that during that time period, it did not solidify into a rigid ‘caste’ system. The division of the poetry in the text is based on the Hindu purusharthas, and classified as Aham (kama), and Puram (dharma, artha, moksha) and mirrors Bharata Muni’s Natyasastra. The latter is regarded as the greatest work on dramaturgy in history, and is widely recognized as a fifth Veda that is easily accessible and available to all people, and contains key elements from all four Vedas incorporated within. We briefly refer to key Sutras of the Tolkappiyam (both Aham and Puram) pointed out to the reader by Dr Nagasway. Sutra 3 (Ahattinai): refers to the four fold division of the landscape found in the Vedas (refer to our prior posts for more details). Each land division is associated with a divine icon who is also a Vedic deity (Indra, Varunam Krishna, Muruga). It is worth noting that Murugan is a popular Tamizh deity but not exclusively so, since it has been shown from several Sanskrit sources that he was also a Vedic deity. Sutra 18 (Ahattinai): employs the word deivam which is a Sanskrit idea. Sutras 27-29 has discussion around Varnasharamas. In the Purattinai, we find a Sutra (74) that employs the term Vahai (type) denoting the four Varnas. The sutra describes the general functions of a vahai. Vedic chanting and recital, Yagnas, study of the six angas, etc. are discussed. The Itihasas and Puranas, tantras, darshanas, etc. were part of the final studies. Six fold system for Vanigas, Vellalars, Yogins, etc. Kalaviyal and Karpiyal. Eight forms of marriages given in the Vedas are listed. Vedic tradition was followed by the Tamizhs with respect to their pre-marital life and marital customs. What Earlier Works Does Tolkappiyam Follow? Dr Nagaswamy notes that the chapter on Marabiyal deals with the translation of other language texts into Tamizh. A key definition specified in this chapter is Vazhinul, a derivative work created from an original text. Commentator Peraachiriyar states that Tolkappiyam is a derivative text that followed the Aggatiyam, carefully preserving the science of this prior text, and that this gives Tolkappiyam the position of an authoritative text. Per Nagaswamy, Peraachiriyar also showed that Kaakaipaatiniyaar created her text as a derivative of Tolkappiyar’s work, and questioned the attitude of a few Tamizhs who were opposed to following such derivative works because Tamizh language would be affected. The book notes that “the translation is an abridgment and elaboration and further enlargement [and] there need not be any fear for both the Tamils and the Aryas. As this process is called translation [Mozhi Peyarttal], the meaning will not be twisted or faulted“. In fact, Nagaswamy says is it evident from the chapter on word formation (Sol athikaram) that historically, “the Tamils were never against using northern words [Vada-Sol] and translations of Sanskrit texts like Vedas, aagamas, and logical texts..”, and that the Tamizhs remained forward looking for more than 2000 years until the 1950s (which coincides with a period of intense political agitation and the emergence of a more virulent Hinduphobic demagoguery in Tamil Nadu rooted in the racist Dravadian theory fabricated by Catholic Bishop Robert Caldwell). We delve deeper into the issue of translation and derivative texts. When do Translations work well? A translation of foundational Indian works from Indic to European languages is not as simple and transparent as Indic-to-Indic (e.g. Sanskrit to Tamizh). This is due to the presence of a large number of important non-translatables within Sanskrit and Indian languages that are not part of the western vocabulary, tradition, or psyche. These non-translatables end up getting mangled in the attempted translation, resulting in distorted output text filled with misleading interpretations that are biased in favor of the dominant cultural (western) perspective. Refer to ‘Being Different(BD)‘ for a detailed discussion on the importance of non-translatables. For example, we can observe the mistranslations in the Murty classical library translation project in the US, which is part of a bigger battle for Sanskrit. This seemingly noble project is funded by an Indian billionaire’s money but operates without an insider voice or authority overseeing the quality, and is turning into a vehicle for brazen cultural appropriation. Such an enterprise precipitates a steady and sure shift in adhikaram away from native practitioners, scholars, and speakers, and into the hands of outsiders to the Indian traditions . Lest Tamizhs think myopically that this is “someone else’s problem”, note that தமிழ் too will not be spared by such anti-Indian Indologists. These Indologists have been aware of the strategic importance of Tamil Nadu as the land of Vedas for a long time. A key reason for these mistranslations, as Rajiv Malhotra states in a recent comment is that, “the mis-translation is not just of words but the ideas behind them. Once you require the original word to be retained, you also force people to think what the words mean more deeply. Because puja is not same as prayer, it compels the person to learn what puja is, where and why it differs, and why the difference matters a lot. The Sanskrit non-translatables initiative started in BD has far reaching implications, beyond just preserving certain words. Each word is an ecosystem of knowledge, a signpost to deep structures“. On the other hand, as discussed in an earlier TCP post, equivalent Tamizh words for crucial Sanskrit terms existed since ancient times; if not, Sanskrit terms were retained ‘as is’ along with their full range of meanings. Thus, a derivative or translation from/to Sanskrit/Tamizh, is likely to preserve satya and is a relatively straightforward procedure, as observed by the 12th century Tamizh poet, Peraachiriyar in his commentary on Tolkappiyam. This nontranslatable ecosystem is also a beautiful shield that helped protect Sanskriti for thousands of years. It is also protecting Tamizh Kalacharam and preserving the distinctiveness of India’s diverse regional cultures. We should never surrender to those outside the Indian tradition, this divine armor and earrings that Indian languages are endowed with. It is abundantly clear to Peraachiriyar that Tolkappiyar followed the great Vedic Rishi Agastya, who not only gave us Tamizh language, but is also considered the pioneering author of Muthamizh – the trinity that comprises the deep culture of Tamizhs including Iyal, Isai, and Naatakam. Nagaswamy notes that this information is mentioned in the commentary of Peraachiriyar (chapter on Uvamaiyal) who lived in the 12th century CE during the reign of Vikrama Chola. We conclude with a brief discussion of the book subsection on the Meypaattu portion of Tolkappiyam. Nagaswamy notes that the Natyasastra does not mention Shaantam (nadu nilai, or middle state, i.e., tranquil) as a ninth rasa, which was included by the commentator Peraachiriyar in place of raudra. However, Nagaswamy notes that in the next Sutra of Tolkappiyam as well as in two others, the sthaayibhava (dominant emotion) of raudra is included as one of the eight Bhavas, and one finds no mention of the nadu nilai. Based on such evidence, Nagaswamy concludes that Tolkappiyar himself did not recognize Shaantam as a Natya rasa, and followed the eight rasas originally laid out in the Natyasastra. The interested reader can refer to the book for more technical details. 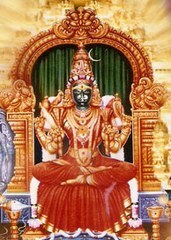 Next, Dr Nagaswamy directs our attention to the chapter of Meypaattiyal which refers to “the realisation of suvai (rasa) mentioned in Bharata’s Natyasastra….. persons who realise certain feelings in their own inner consciousness, communicate the same to outsiders, to see or visually understand it, that is called meyppatu. Nagaswamy notes that this section is related to dance and the whole chapter is related to natya and summarizes his findings as follows: “Meypaatu of Tolkappiyam is the rasa theory of Bharata’s Natya Sastra. A careful study of Tolkappiyam indicates it follows Natya Sastra of Bharata and so the whole text is a reflection of Natya Sastra and shows unmistakable role of the Vedas“. In the next part of this series, we will study the book chapter covering two of the greatest Sangam Tamizh works, Silapathikaram and Manimekalai. The Battle For Sanskrit, Rajiv Malhotra . Acknowledgment: thanks to n.r.i.pathi for reviewing the Meypaattu section. 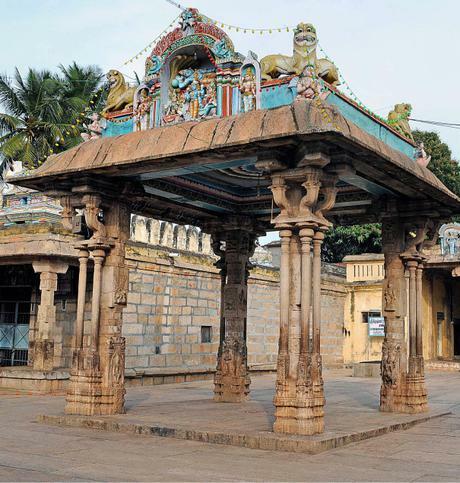 ‘Tamil Nadu: The Land of Vedas‘ is Dr. Nagaswamy‘s latest publication in a long series of scholarly works studying the history and culture of Tamil Nadu. Nagaswamy’s several decades of contributions in this area have lead to a better understanding and awareness among the people of Tamizh kalacharam in particular, and Indian Sanskriti as a whole. Through this book, Nagaswamy demolishes several ill-formed and spurious assumptions and claims regarding Tamizh culture, history, and language that have been postulated in the last century. Leading Hindu and Indian-American intellectual Rajiv Malhotra, in this video below, shares his thoughts regarding the importance of this work. The magnificient ancient temples of Tamil Nadu, with their proud Gopurams, majestically proclaim to the world that the land on which they stand is the land of dharma and Vedas. There is also a massive amount of historical and literary data directly attesting to the dharmic and Vedic basis of Tamizh society since ancient times. For example, Nagaswamy notes that the organization of Tolkappiyam, the first Tamizh grammar work, and its rules, is reflected in Vedic Pratisakyas and Paanini’s grammar, as shown by P. Subramanya Sastri. Furthermore, the marriage of Kannagi, the main character of Silapathikaram was conducted as per Vedic rites. Ancient Tamizh kings invited and rewarded thousands of meritorious brahmanas by providing them residences and land grants. It is worth noting that the necessary and stringent qualifications imposed by the Kings here. Rewards were not simply bestowed on the basis of birth, but required the individual to exhibit good conduct, maintain their vow of poverty, be a living embodiment of the Vedas, and demonstrate their adherence to dharma. This first post briefly summarizes some key comments and insights provided by Nagaswamy in the chapter on Sangam literature. This collection of poems has been recognized as the most authentic record of ancient Sangam literature without any latter additions. Nagaswamy points out to us the rich Vedic tradition and dharmic concepts present in this anthology which seamlessly spans the material and sacred domain. The first prayer song is attributed to Perumdevanaar who sang the Mahabharata in Tamizh, and the second to Mudinaagaraayar, the earliest known Tamizh poet in history. This latter fact is known to us thanks to Tamizh Thatha (grandfather) U. V. Swaminatha Iyer’s work with palm leaf manuscripts. Legends like UV Swaminatha Iyer and Dharampal, through their decades of tireless seva, are true Bharat Ratnas. Mudinaagaraayar praises a Chera king in this song as a participant of the Kurushetra battle between the Kauravas and Pandavas. Nagaswamy’s commentary is extremely powerful and important, clearly bringing out the integral unity of India. He notes that even if this is were a case of poetic exaggeration, “it still makes clear, that this Tamil king did feel he was a part of this country and did not stand in isolation. The reference to Mahabharata war the king’s participation would show that the epic was a part of Tamil ethos at the very beginning of Tamil history, is an identity but not isolation. The Tamil territorial division and linguistic difference did not make them followers of an independent culture, but remained one with the rest of the country. Each region of India had its own boundaries and different dialects, but the culture remained one and the same‘. This song gives the Vedas a sacred and venerated place. The lady saint and poetess Avvai is deeply respected in Tamil Nadu to this day. 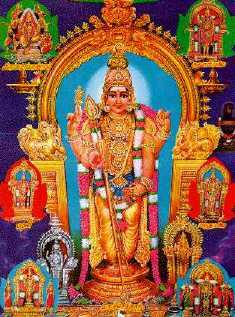 The lady saint and poetess Avvai is a most respected and revered saint of Tamil Nadu. A Sangam poem (in the puram anthology) describing the Rajasuya Yaagashaala by a Chola king was sung by her. The Chola king invited the Chera and Pandya king to attend, and both accepted. Thus we have the three crowned kings of Tamizhakam of the Sangam era participating in a sacred Vedic Yagna. This amazing sight gladdened the heart of Avvaiyaar, and led to the composition of the poem. The trinity of kings are recognized as the direct representatives of Tamizh society and its culture, as noted by Nagaswamy, and is emphatically expressed via the Tamizh saying “Mannan Uyirte Malar Talai Ulakam. The king is the living embodiment of the nation. In her poem, the great Avvaiyaar notes that the the kings honored meritorious Brahmanas following a specific custom that is prescribed in the Dharmashastras. 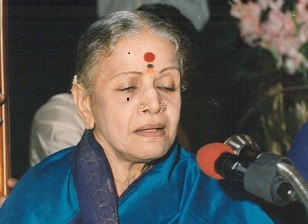 Avvaiyaar has praised the Vedas in her songs. Poet Nettimaiyaar in verse 15 in the Puram section praises Pandya king Peruvaluti for the completion of many Vedic Yagnas as prescribed in the Vedas and directed by the Dharmashastras. These Yagnas were not merely ceremonial and occupied an important role in Tamizh life, and were guided by Vedic Brahmanas of the Sangam era. This is also seen in Avvaiyaar’s poem and even the Tolkappiyam. This fact demolishes any claim of Vedic priests not being present in the Sangam era. In fact the Tamizhs performed two types of Vedic Yagnas (Velvi). The Kala Velvi is performed by the farmers who follow their dharma, and the Mara kala Velvi is done by the kings after victory in the battlefield, who followed the kshatriya dharma. Thus the farming and warrior communities of the Sangam era commemorated and celebrated their successes by connecting to and dedicating their work to the divine via Vedic Yagnas. The poem refers to the marriage festival as Vaduvai, which is derived from the Sanskrit term for marriage. Battles were fought by Tamizh kings in accordance with the dharmasastras, for e.g., ensuring that innoncents were not killed, with due warning given to civilians so that they could ensure their safety before the battle started. The Tolkappiyam states that the warring kings had to make sure that women, children, Brahmanas, the sick, and the cows would be protected. Puram poem 43 mentions an interesting episode that highlights the need to respect a group of Brahmana Rishis who were revered for their sacrifices on behalf of humanity. To teach a Chola prince who insulted such a Brahmana, the story is told by a poet of the great King Sibi who followed the path of dharma and whose self-sacrifice astounded even the selfless Rishis. 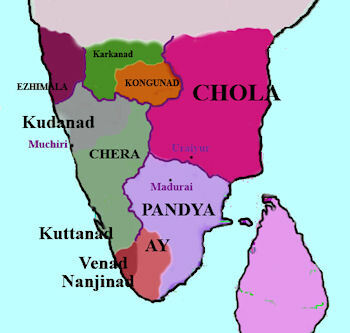 Sibi was recognized by the ancient Tamizhs as an ancestor of Cholas. This story is also known in the Jataka tales of Buddhism that originated far north, and is praised in the Silapathikaram and later Tamizh poems. Clearly, there is no trace of north-south divide here. The prince realized his mistake, and poet too relented. The poet blesses the land with prosperity as long as the sands of river Kaveri remain. Karma and Maru Janmam (Punar Janam, rebirth) are two non-negotiable beliefs held not just Hindus, but also by Jains and Buddhists. These are fundamental truth claims of dharma thought systems. Puram poem 27, sung by Saatanaar, an adviser to the Chola king, echoes this belief, and clearly this was part of the ancient Tamizh culture and belief system. Nagaswamy cites verse 166 sung by Avur Mulam Kilaar in praise of a Brahmana named Vinnantaayan (Vishnu Dasa) of the Chola country, as a very important one for understanding the Vedic studies in Tamil Nadu. Nagaswamy notes “this poem points to the immense faith the ancient Tamil society had for Brahmanas as leaders among the men of knowledge“. Note the word 'Kanakku' or calculation in Tamizh for Jyotisam. Vedanga Jyotisha contains Ganita (calculation). Vinnantaayan did a Purva-Paksha of other dharmic systems that refuted some aspects of the Vedas, and is known to have debated and defeated several such opponents using brilliant arguments. Thus we see Sangam Tamizhs were not only followers but also leaders and defenders of India’s Vedic tradition. Nagaswamy states that this poem provides an example of Vedic lifestyle in Tamil Nadu at the start of the first century CE, i.e., around 2000 years ago, and that were many such Brahman families living in the Kaveri delta at the time. Sangam literature also highlights the centrality and sacredness of Kaveri to Tamil Nadu, which remains to this day. Beyond all this direct material evidence, we find within the conduct and expressed beliefs of all illustrious Tamizh saints and scholars since ancient times, an unswerving commitment to Satya, the Truth, that is the foundation of the Vedas and Indic civilization. We will continue this discussion in Part-2. 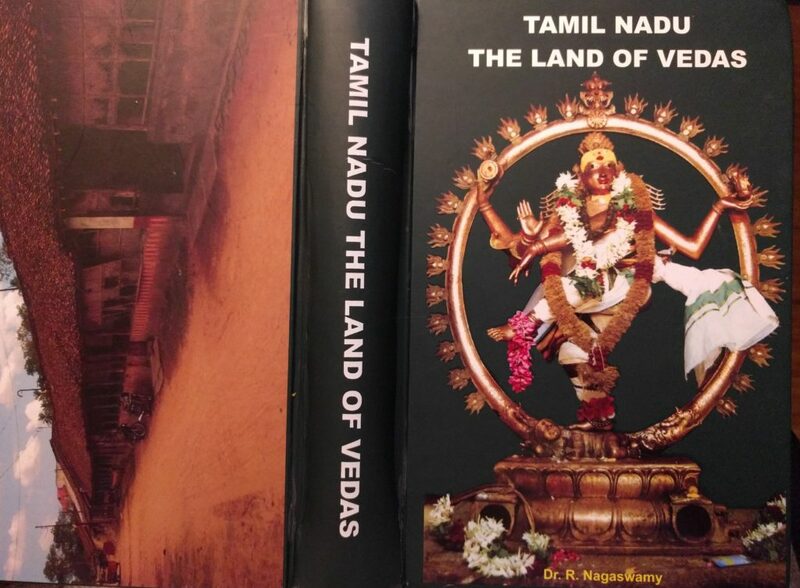 Tamil Nadu, The Land of Vedas is available for purchase at the Tamil Arts Academy, Chennai. Popularly known as ‘M.S’ or ‘MS Amma’, M. S. Subbulakshmi is not only one of the greatest exponents of an ancient vocal music tradition of India that can be traced back to the Samaveda, she is also a Bhakti saint of the modern area. Hers was an unselfish life completely devoted to Sangeetam, dharma, and danam. The divinity in her music transcended man-made limitations to touch the atmas of listeners all over the world. M.S. Subbulakshmi was born on September 16, 1916 to Subramania Iyer, a Tamizh Brahman, and Shanmukavadivu Ammal, an immensely talented music artist hailing from the sacred Devadasi tradition of temple dancers and musicians. Her initials are derived from the ancient Tamizh city of Madurai where she was born, and her mother Shanmukavadivu. Her musical journey began at home and her mother was her first guru. She learned to sing and play musical instruments, and her amazing skill level was achieved not by mastering the formal music sheets employed in the west, but through the distinct traditional Indian method of ’embodied learning’ from Guru to Sishya. As MS recalls “My earliest interest in music was focused on the raga. I would try to reproduce the pipers as well as I could. My mother played and rehearsed constantly. No formal lessons, but I absorbed a whole wealth by listening and humming along with the veena.” Her approach to music practice and training was like that of a Yogi. She was a child prodigy who received the blessings and instant admiration of virtually every leading Carnatic vocalist of that era who heard her sing. Her first song recorded at age 10 was in Tamizh, devoted to Lord Muruga, with her mother accompanying her on the Veena. Her first public performance the same year at her Madurai school included a Marathi song. She never looked back and went from strength to strength, her god-given voice and talent enthralling audiences eveywhere, transcending language barriers. In the 1930s she met Thyagaraja Sadasivam, a freedom fighter and artist who co-founded the famous patriotic Tamizh weekly Kalki. 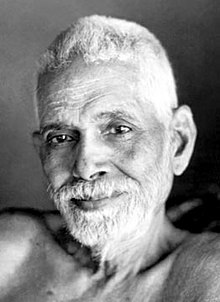 Sadasivam, the son of Tyagarajan and Mangalam Iyer, was deeply influenced by the Indian freedom movement, especially ‘Lal-Bal-Pal’ and Sri Aurobindo. MS shared the dharmic and patriotic views of Sadasivam, and the two were married in 1940. By all accounts, her husband played a positive role in her successful career, a fact that MS recalled when she was awarded the Bharat Ratna. MS was a devotee of Kanchi Mahaswamigal and most of her royalties and earnings from music were given to charity. She had great concern for the people around her, enquiring about their health and their family, and graciously donating the amount received for her concert to any good cause that needed financial support. Humility was her adornment. Once her husband Sri Sadasivam quoted that she did not know how many ciphers followed number 1 for one lakh! If a child asked her casually to sing a song for him/her, she would sing without any hesitation. She started her movie career in 1938 with Sevasadanam, and acted in some memorable movies based on dharmic themes, including Sankuntalai and Savitri, where she played Narada Muni, which helped fund the nationalist magazine Kalki. 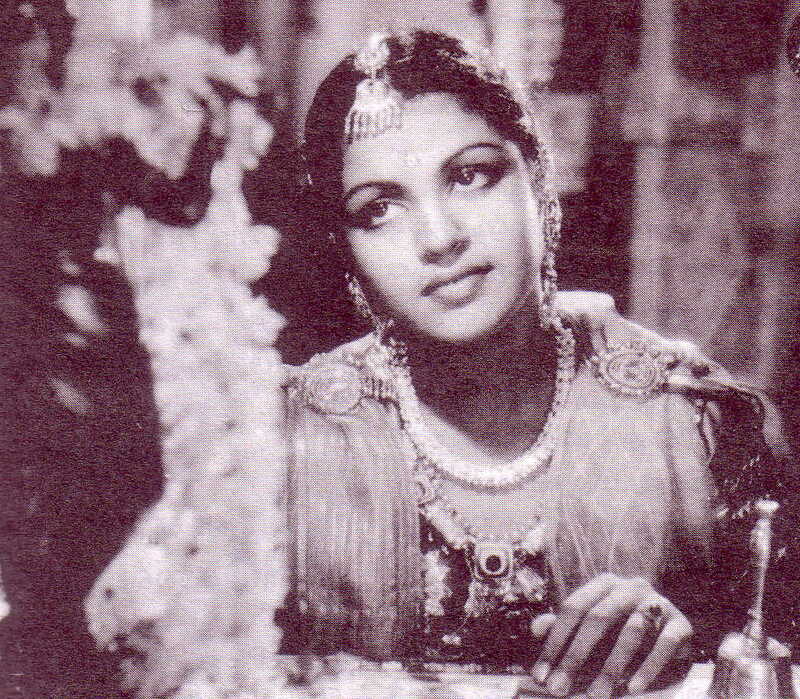 She reserved the best for her last role in, and as the Bhakti saint Meera in Tamizh in 1945 (and later, in Hindi). "In the Bombay Studio where the Meera score was recorded:, it was the same story. Artists who came for other recordings would stop by and become rapt listeners. A thin newcomer, two long plaits dangling behind, refused to record her song after the M.S. session." "Not now, not after that!" She went on to become a legend in her own right as Lata Mangeshkar, while continuing to remain a devoted M.S. fan" - Frontline (2004). In 1963, the famous Venkatesha Suprabatam album was released, and this was soon followed by her famous concert in the UN. Her sublime rendering of Vishnu Sahasranamam and Bhaja Govindam were released as albums in 1970. The Tirumala Tirupathi Devasathanam began broadcasting her Venkateshwara Suprabhatam in 1975 forever uniting the sacred verse with her voice. The Annamacharya Pancharatna Album (Telugu) was released in 1980. She gave innumerable charity concerts with the proceeds going to noble causes. Her last concert was in June 1997 and she never sang in public after her husband passed away later that year. Her selfless service to India, her Bhakti, and adherence to dharma without expecting anything in return, elevated her to the position of a saint in the eyes of many. She left her physical body on December 11, 2004, but her nishkama karma will continue to be an inspiration for generations to come. MS started and ended the daily cycle of activities in Southern India. Her Kaatrinile Varum Geetam is the earliest song in my memory, in a mother’s comforting voice as her child sleepily dozed off into the night, to wake up the next morning to Kowsalya Supraja Rama Poorva Sandhya Pravarthathe.. from her Venkatesa Suprabatam. MS Amma thus became an integral part of many Indian families in this endless cycle of night and day. MS Subbulakshmi was universally recognized by admirers and critics alike as an outstanding singer of Carnatic music and devotional songs. She was noted for her precision in pronunciation; a crispness not only in Sanskrit, but any language in which she sung. While the aesthetic heights, Shruti Suddham, diction, and effortless genius of her singing have been explained by Carnatic aficionados and music connoseiurs, the sacredness and divinity in her songs can be experienced by everyone. What do I care of technical excellence when the bhava and depth of her Bhajans shreds through all my carefully acquired layers of false projections and reconnects to the divine latent within? For me, to hear MS Subbulakshmi sing is to feel a stirring sense of bhakti, but the voice i hear within me belongs to my mother. In the 1940s, MS retraced the journey of Meera before she enacted that role in one of the greatest Indian motion pictures ever made. When she sang in the praise of Giridhara Gopala, the listeners were thrilled, be they king, prime minister, or commoner. Those who heard MS Subbulakshmi sing in praise of Krishna during this pilgrimage regarded her as the reincarnation of Meerabai. 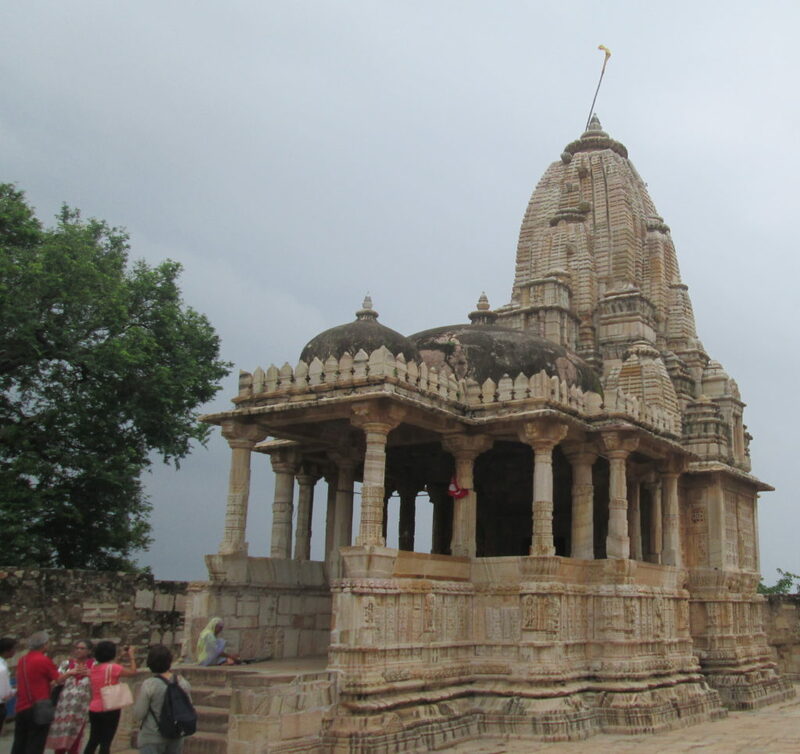 I visited Chittorgarh earlier this year to pay humble tribute to the heroic Indian women and men who resisted the tyranny of invaders and conquered even death in that process. There is also a mandir of Meera, who, through her Bhakti, defeated the tyranny of ego and secular materialism that invades our sacred realm. Thus when she was young, MS was already a living saint in the minds of many in Northern and Southern India. And that is a most simple and natural Indian way to ‘sainthood’, not by marketing and institutional certification post-mortem. Her mystical, youthful beauty as princess Meera was akin to a ‘Kovil Silai’, and captured on-camera by Ellis Dungan. She made famous the blue Kanchipuram saree, which became popular as ‘MS blue’. Her fame spread far and wide after concerts all over the world. When she sang Maitreem Bhajata composed by Kanchi Mahaswamigal, at the United Nations during the height of the cold war in 1966, she shared Hinduism’s ancient and universal message of mutual respect and harmony with a global audience – perhaps the most powerful, sincere, and profound anti-war and dharmic message ever put to verse and sung on a global modern stage. When she sings Kurai Ondrum Illai.. composed by Rajaji: I have no regrets, O Lord Venkateshwara, even if you are in a place where my mortal eyes cannot reach…, the divinity and Bhava simultaneously overwhelms and comforts the Rasika. The power of her singing is such, we feel that additional accompaniment or harmonies only detract from the pure, integral unity of the sacred song. This unity, which is a salient feature of Indic traditions, is a reason how a simple Tamizh girl from Madurai could authentically and confidently re-enact Meera of Rajasthan. She was not acting like Meera. She was Meera reincarnated who bridged the north-south divide fabricated by colonialism. Questions like “Why are you making this film in the Madrasi language? Why not in Hindi?” quickly dissolved into admiration and wonder. The quintessential Tamizh song ‘Kaatrinile‘ in that movie, which is deeply embedded in the hearts of millions of Tamizhs is inspired by bhajans from Bengal. The Bhakti movement that originated in the Tamizh land several centuries ago and reached Rajasthan and all other parts of India came back to Tamil Nadu via ‘Meera’. That was her last movie, and what a way to sign off the big screen. MS aged gracefully, her beauty undiminished, carrying herself with a charm and poise that only a true Yogi and Sattvic lifestyle can achieve. When MS finished her concerts, large sections of the audience, young and old, did their namaskarams to her, recognizing an enlightened atma – the youthful saint who became MS Amma. ‘M.S.Subbulakshmi – A Divine Maestro’, by K.S. Mahadevan. Thanks to the amazing n.r.i. pathi for his pointers, data, editing, and feedback. No factual basis for either of the 19th century theories: Aryan theory of Max Mueller, and Dravidian theory of the Bishop Robert Caldwell. Hindu, as well as some Buddhist and Jain concepts were embedded into Tamizh thought since the earliest of times. All three dharmic thought systems exhibit an integral unity . Several great Tamizh scholars and literary giants throughout history have celebrated the common origin of Tamizh and Sanskrit in Shiva. There exists a long and continuous history of Tamizh literature, dance, and music (Muthamizh). We start with a brief discussion motivated by feedback for Part-1. “‘Kala’ in Sanskrit, ‘Kalvi’ in Tamil, ‘Culture’ in English, ‘Cole’ in French, have a common root meaning. Since it is a matter concerning all humanity, it has a similar sounding word, with a similar meaning too. ‘Kala’, means something that keeps growing, like ‘chandra kalai’ for the crescent moon. Similarly ‘kalai’ or art gives sustained growth to the mind. There is no end to this growing. Even the Goddess of learning, ‘Saraswathi’, says, ‘Learnt is a handful, while not yet learnt is as big as the world’. So she keeps at it. The word in Tamil, ‘kalacharam’, is of recent origin. “Panbu’ and ‘Panpadu’, are the earlier words, bringing in a connotation of delicate subtility of expression” [emphases mine]. ‘Kalacharam’ is a relatively new and useful Tamizh term for an ancient and living cultural framework. In an increasingly interconnected world, there is often a global and diverse audience for content generated in any one place. The accurate and automated translation of such content becomes quite important. Words that have an intuitively identifiable common root-meaning tend to become more popular among the available synonyms. To produce intelligent auto-translated content, methods from NLP (natural language processing), machine learning, computational linguistics, etc. may be employed. In terms of the data, models, and algorithms required in this context, the content, structure, and the inherent unity of the ancient, diverse, and living language systems of India are likely to become a prime candidate for knowledge mining. The multi-lingual scholars of India can play a leading role in the development of these new technologies, and should control the adhikara as well as the intellectual property generated from such research. Let us start by examining the nature of the overlap between Tamizh and Sanskrit. We mention three points about the oft-quoted ‘just 45%’ Sanskrit in Tamizh. The words in parentheses, when provided, refer to the Tamizh equivalent available, based on a high-level review of the Thirukkural  and Sangam literature . Tamizh also has equivalent terms for the four purusharthas of Hinduism that encompass the material and sacred realm . Today, ‘Om’ has a speacial UTF-8 character: ॐ in Sanskrit, and ௐ in Tamizh. As alluded to in the previous section, Sanskrit-rooted synonyms are conveniently employed so that listeners or readers from other regions of India or the world can follow along. For example, terms such as dharma and atma are part of common Tamizh usage today (Tamil Nadu Chief Minister J. Jayalalitha referred to her acquittal in a recent court case as ‘a victory for dharma‘). A heuristic rule to detect Indic civilizational unity within a language is as follows: Any language that has an unbroken tradition of using a sacred keyword (or its own equivalent), is likely to have co-existed in mutual respect with Sanskrit as well as all other languages that share this property. b. The intersection between Muthamizh and Sanskrit is significantly higher since these language systems have a strong overlap in terms of the interconnected art, verse, music and dance. Consequently, it is not surprising that the resultant cultural frameworks, Kalacharam and Sanskriti mirror each other. Siddha and Ayurveda, for example, are distinct knowledge systems within these frameworks that are not separate but rooted in dharma, and have the same fundamental operating principles. c. We can better understand the full depth and the different dimensions of the unity between Muthamizh and Sanskrit as integral knowledge systems by comparing the content in the Natya Shastra and Silapathikaram. This comparison itself has raised some questions among scholars, which we address next. A most ancient and influential work on Kalacharam is the Silapathikaram. Similarly, the Natya Shastra, arguably the most important work of Sanskriti in terms of direct mass impact, is accepted by many as having originated in Kashmir. The Natya Shastra is hailed as a fifth Veda, while the Silapathikaram reenacts the life in ancient Tamil Nadu (Tamizhakam) and serves as a valuable living aid and resource for Tamizhs to this day. What do we expect to find where we compare these monumental works? and what are the implications? Sanskriti and Kalacharam were two independently existing cultural frameworks since ancient times. Southern India had its own traditions of literature, music, and dance that may be exclusive and separate from its counterparts north of the Vindhyas. The cultural frameworks of Sanskriti and Kalacharam are inextricably linked since ancient times. We find the reflection of one in the other. Southern India had its own distinct and inclusive tradition of literature, music, and dance, which coexisted with similar traditions in regions as far away as Kashmir. Sanskrit and Tamizh thrived in mutual respect. They nourished one another, while retaining and celebrating their own distinctiveness. Further repudiation of Max Mueller’s Aryan, and Bishop Caldwell’s Dravidian theory. This comparative analysis is made easier by referring to the scholarly works of Michel Danino , and Dr. R. Nagaswamy, as presented in his lecture , and tabulating the uncovered facts. However, even if we demonstrate this unity, an unresolved issue may linger. Since both languages are ancient, as we mentioned in part-1, did Natya Shastra influence Silapathikaram, or was it the other way around? Separatist scholars have begun to posit a southern-Indian origin and a redefinition for ‘Bharata’ and reject a ‘Sanskrit basis’ for Sangam works. How do we deal with such developments? Do these ‘counter-claims’ weaken the thesis of Tamizh-Sanskrit unity? For clarity, we have divided the original question of Tamizh-Sanskrit unity into two sub-questions, which we label as ‘easy’ and ‘hard’, as shown below. Easy question: Is there a deep (integral) unity between Sanskrit and Tamizh? We denote this question as ‘easy’ because a systematic review of the evidence and data already available is sufficient for a layman to obtain an unambiguous answer. Hard question: Did Natya Shastra and Sanskrit influence Silapathikaram and Tamizh (in direction and chronology)? This is an interesting question for scholars having a multidisciplinary knowledge of Itihasa, dharma, art, history, etc. The work of Michel Danino  and the presentation by Dr. Nagaswamy of his findings  provide clear clues, and we will cover this topic in a future post. The remainder of this post is organized as follows. We tabulate the facts obtained from the analysis of Michel Danino and R. Nagaswamy. To gain an appreciation and understanding for Natya Shastra, we refer the reader to the scholarly and detailed introduction at our mother site, Indic Cultural Portal . A key takeaway is that Natya Shastra is not restricted to dance, but is first and foremost an integral scientific treatise on dramaturgy, which by design and motive, is for the benefit of all people, transcending Varna, Jati, region, language, gender, education level, etc.. Bharata is unequivocal in his goal that this is an inclusive work that is accessible to all. He appears to have succeeded too; its impressions can be traced from India through South East Asia, indicating that it is one of the most influential works in world history. Ilango Adigal’s Silapathikaram is considered one of the five great Tamizh epics. Here, Dr. Nagaswamy  provides compelling evidence that shows this work is best recognized as a dance-drama of exquisite quality, depicting the lifestyle of the Tamizhs during the Sangam era. There were two prior Tamizh texts, the Agattiyam and the Bharatam (the Tamizh version of Bharata’s work) which were not available in their original form at that time. Therefore, a primary Tamizh reference for Ilango was Tolkappiyar’s Tolkappiyam and this was taken as the basis. Consequently, a comparative study of these works of Bharata, Tolkappiyar, and Ilango is required to obtain a full picture. Toward this, we return to our favorite Rishi, Agastya. The influence of Agastya and his lineage on Muthamizh is deep. We introduced Rishi Agastya in part-1. We now briefly summarize some points in the lecture by Dr. Nagaswamy . Itihasa mentions Agastya’s relocation to Southern India after crossing the Vindhya mountains, bringing along with him several families of rulers and chieftains to Podhiya malai in Kanyakumari district. We also have evidence from recorded history. Copper plate inscriptions at Velvikudi, Sinnamanur, Srivaramangalam, etc. of Pandyan kings inform us that Agastya crowned them as the rulers of Madurai (which mirrors Mathura of Northern India) and taught them Tamizh and Sanskrit. 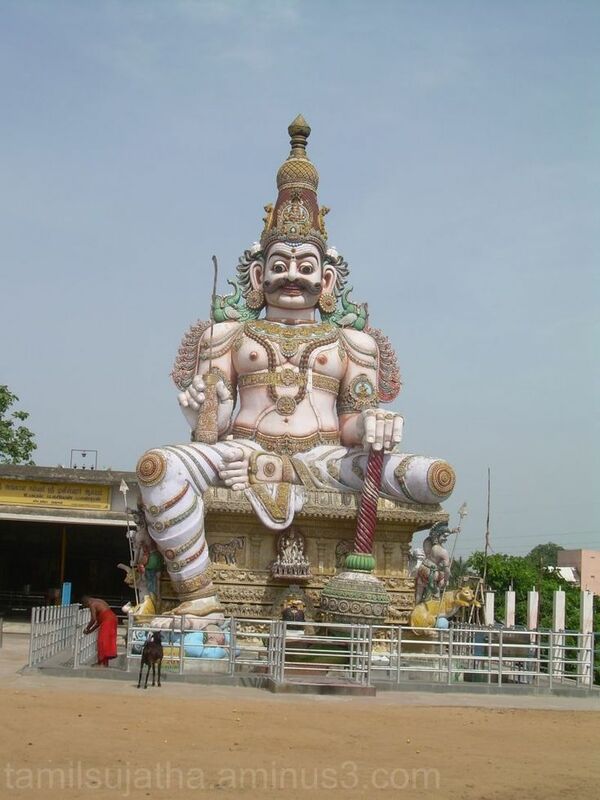 Pallava records at Kuram and other places mention Agastya’s slaying of the wicked Asura Vatapi . In general, the presence of copious Tamizh and Sanskrit epigraphy indicates that both languages thrived in Tamil Nadu since ancient times without mutual tension. According to 10th century commentators, the characteristic division in Tamizh Sangam works of dance into aham and puram was done by Agastya. Tolkappiyar is revered as a disciple of Agastya (i.e., a Rishi from Agastya lineage). English references typically refer to Tolkappiyam as the first grammar of Tamizh, but this does not imply some one-dimensional ‘Wren and Martin” equivalent! The Tolkappiyam is an integral treatise on Tamizh Kalacharam. These commentators also mention that in the Purattinai (non-Sringara) division of the Porul Adhikaram portion of Tolkappiyam, there are a number of dance forms, some of which are said to be have been taught by Agastya (or his lineage). Seyyul (verse) employed in Tolkappiyam and Silapathikaram, which is almost Sanskrit Chandas, was given to us by Agastya. The Silapathikaram itself recounts the story of Agastya being received by Indra during the Indra Vizha. This beautiful story is given in Part-1, and explains how dance and music came down to the material world from their celestial origin. same eight forms of marriage found in the Dharmashastras. four-fold division of land (with a fifth representing the intersecting region), where each material division is associated with an expression from the poetic domain while ultimately being rooted in the transcendental realm. We can see that the deities venerated in other parts of India are already a part of Tamizh culture. I have attempted to summarize Dr. Nagaswamy’s presentation in this video lecture to the best of my ability . Errors in transmission, if any, are entirely mine. What is given below is an incomplete list of the presented evidence. Other scholars too have presented their analysis on this topic. In porul adhikaram, we have two divisions: agattinai (emphasis on inbam or kama), and purattinai (focused on the other three purusharthas). Tolkappiyam also mentions ‘ahapaattu’ and ‘purapaattu’ (Paattu = song). These are meant to be songs used for dance performed by Paanar and viraliyar (dancers and musicians). At the end of agattinai, Tolkappiyar refers to nadaka vazakku and ulakkiyal vazhakku. This maps exactly to natya dharmi and loka dharmi of Natya Shastra. Tolkappiyam consists of long poems, up to to 500 lines some times. Can it be compatible with dance? India has a long tradition of reciting and enacting long poems, for e.g., the Chakiyar Kuthu in Kerala performed with the help of Mudras. In fact, the whole of Sangam poetry that is divided into aham and puram is based on a dance tradition. As far as the purattinai division of Porul adhikaram, if we examine the commentaries, we observe that a major part of what is said is also meant for song. Mei paattu of Tolkappiyam is about bhava. This is mentioned by all the commentators. For example, Ilamburanar mentions that when the kings are witnessing a dance, these bhavas are brought into use. The definition of bhava is given in the Natya Shastra. ‘Mei’ represents the inner/facial feeling. We observe a 1:1 mapping with the Natya Shastra chapter on bhava. Tolkappiyam mentions 8 Rasas, and so do Natya Shastra and Silapathikaram (the Shanta rasa is not included until 9th century CE). Aham and Puram: The content in Sangam works are divided into two groups: aham and puram. This coincides with the Natya Shastra division of dance styles of Lasya/Sukumara (feminine/soft) and Tandava (vigorous). aham is focused on Sringara (related to kama), and the puram on the other purusharthas (artha and dharma, with moksha implicit). The Puhar and Madurai Kandam are associated with aham, and the Vanji Kandam with puram. Similarly, the Sangam poems are classified as ‘aha paattu’, and ‘pura paattu’, and were meant to be sung and danced. The two dancing styles mentioned in the Natya Shastra: Margi (classical) and Desi (regional) are mirrored in Silapathikaram as the ‘iru vahai koothu’ of aariyam, and tamizh, respectively. This is a critical feature to note and we analyze this commonality in depth at the end of this post. Nritta Karana (dance movements): The Nritta Karanas are 108 in number, same as Natya Shastra. In general, the technical terminologies employed in the two works are the same, or an equivalent is mentioned. Vritti (theme): We have three Kandams (cantos) corresponding to the three great places of Tamizhakam: Puhar, Madurai, Vanji. A Katturai (note) at the end of each canto mentions a specific Vritti for each Kandam. To understand the meaning of each Katturai, we have to refer to the Natya Shastra. Pindi: This is not a native Tamizh word. Silapathikaram uses the term ‘Pindi-Bandha’ which can be understood once we refer to the Natya Shastra. Hasta: Silapathikaram mentions the ‘Tozhil kai’ and ‘ezhiyirkai’. Natya Shastra has the exact Sanskrit equivalent: Karma Hasta and Nritta Hasta. Rasa and corresponding Bhava (8). Also present in Tolkappiyam. The conclusion in (5) is stunning in that it elevates the importance and scope of the Silapathikaram to a pan-India/global level: It is perhaps the earliest dance drama outside the Sanskrit/Prakritic system. To fully understand how Natya Shastra is applied in reality, scholars have to study the Silapathikaram. Twelve topics in Natya Shastra are mirrored in Silapathikaram. Equivalents are given in parentheses, else the Sanskrit term is used as is. The four deities associated with this division are Mayon (Maya/Krishna), Ceyon (Subramanya), Vendan (Indra), Varunan (Varuna). "Ashma cha me mrittikacha me giraya scha me parvata scha Me sikata scha me vanaspataya scha me ..."
The intermediate mixture of lands: paalai (desert, Durga). Indra, an important Vedic Deity: The first public dance by Madhavi is in the Indra Vizha. In Natya Shastra too, the first dance was performed in the ‘Indra dhwaja maha’ or Indra’s festival. In a particular sequence of events, Ilango introduces six or more dance situations that are also mentioned in Natya Shastra, which are adopted by dancing girls to attract and win back the ‘person of interest’ when he his upset. Dr. Nagaswamy states that unless we understand how the Natya Shastra has been put to brilliant use in the Silapathikaram, we cannot fully understand and appreciate this great Sangam work. 1. All the material evidence, factual commonalities, Vedic, and sacred links between Natya Shastra and Tolkappiyam/Silapathikaram that are mentioned here have no dependency on who was the “first” to come up with those concepts and ideas. 2. From the perspective of the easy question, it does not matter whether Natya traveled from Kashmir to Kanyakumari, or from Kanyakumari to Kashmir. The simple fact is that the Natya traditions in the south is reflected in other parts of India since ancient times. As an analogy, tomorrow, if we find out that it was not Newton but some person from China who first arrived at the law of gravity, it does not invalidate the fact of gravitational force! Next, we examine the various dimensions of this unity. When the facts presented in the comparative study of Sangam works and Natya Shastra is combined with the archaeological and material evidence in Part-1, the material (artistic, linguistic, cultural) unity of Muthamizh and Sanskrit is firmly established. Furthermore, we see from Itihasa that through Shiva (who is the original Yogi as well as Nataraja) and Agastya, Tamizh and Sanskrit emerged from the same sacred sound that has no beginning or end. Thus the sacred and dharmic unity of Tamizh-Sanskrit is also evident. The material and sacred were never considered separate, non-intersecting domains in both language systems. Tamizh, Sanskrit, and their music and dance traditions flow smoothly from the same sacred origin to the material world unhindered. The most influential treatises in both systems encourage the pursuit of the purusharthas that teaches mankind to prosper, progress, and ultimately transcend the material domain. The integral nature of the Kalacharam-Sanskriti unity is transparent. The nature of this unity was celebrated in Itihasa, and as well as by illustrious Tamizh saints, scholars, and poets over centuries. Arguably, no other language pair in India can claim to have a deeper, more sacred, and ancient bond. In other words, what is loosely called Hinduism would not be what it is without the South. To use the proverbial but apt image, the outflow from the Tamil land was a major tributary to the great river of Indian culture“. How was this unity preserved? Was this relationship one of equals or asymmetric? Mutual respect, which is a bi-directional form of respect, is necessary to preserve this unity across thousands of years. Superior-inferior asymmetry in any relationship is a recipe for early break-up. We will show that ‘mutual respect’ is explicitly hardwired into the Natya Shastra, and that this is also reflected in the content of the Sangam work. The Natya Shastra’s remarkable introduction of Margi (classical) and Desi (regional) styles of Natya freed up artistic pursuit, eliminating any ‘Shastric claim’ to superiority by any one tradition. Every region, group, and individual was encouraged to promote their own verse, music and dance tradition, and to innovate in their own language. Silapathikaram too embodies this democratic principle and mirrors this via ‘Aariyam’ and ‘Tamizh’ dance styles, simultaneously respecting inter-regional diversity, and encouraging intra-regional variations and innovations within its own sphere of influence. This liberation of verse, meter, music, and dance, appears to have resulted in an open architecture . Dr. Nagaswamy rightly notes that “Sanskrit never stood against any other language, but only encouraged them. Never in history do we have any conflict“. Remnants of this unified dance-drama tradition are still visible in Indian pop-culture via its feature films. The inter-connected verse-tala-music-dance Natya, however dilute it may be today, remains an key ingredient of all Indian language movies, including Tamizh and Hindi, and exhibits significant regional diversity. Furthermore, this pan-Indian feature is not present in movies from other parts of the world, and is most appreciated by audiences in India. As mentioned in our culture page, Tamizh feature films initially arose from stage performances (Natya/Nadakam) of stories from Itihasas and Puranas. We may be able to trace this feature embedded within Indian feature films back to the Silapathikaram and the Natya Shastra. Clearly, Natya is a powerful Indic non-translatable that has united India and helped preserve the distinctiveness of Indian art, language, and culture. Being Different: And Indian Challenge to Western Universalism, Rajiv Malhotra. Harper Collins, India. 2011. Deivathin Kural Series – 80, http://advaitham.blogspot.com/2007/01/deivathin-kural-series-80.html, Lt. Col. KTSV Sarma, 2007. Vedic Roots of Early Tamil Culture. Michel Danino, 2001. Bharata’s Natya Sastra and Tolkappiyar, Dr. R. Nagaswamy, https://youtu.be/qpgQzoeZQhU, 2013. Origin of Music and Dance, Dr. R. Nagaswamy. https://youtu.be/ox6W2vUEpnQ, 2014. Classical Indic Literature III: dramatics. Indic Cultural Portal, N.r.i. Pathi, 2015. History and Culture of Tamil Nadu – vol 1, Chitra Madhavan. DK Printworld, 2013. Thanks to n.r.i.pathi for reviewing this work, and his useful suggestions. *Some authors view ‘uyir’ in the Thirukkural as a context-sensitive equivalent of ‘atma’. Thanks to Sri Raj Kashyap for pointing out that generally, anma (from atma) is used, and ‘uyir’ refers to ‘jiva’ or ‘prana’. Tamizh and Sanskrit are two of India’s most ancient living languages. Some claim that no more than 45% of today’s Tamizh is Sanskrit. From an alternative and equally narrow perspective, this could also mean, assuming ‘equality’, that 45% of Sanskrit is Tamizh. But the truth is that just as Shiva and Shakti are inseparable and have no independent existence of their own, Tamizh and Sanskrit are jewels that reflect each other. If a seeker who only knew Tamizh dived deep into the most profound thoughts expressed by Tamizhs over millennia, he is likely to uncover similar insights that another person would obtain through Sanskrit. This no coincidence. The languages and cultures of India are distinct and inclusive but not separate or exclusive. They are rooted in what is recognized today as an ‘integral unity‘  that produces India’s ‘unity in diversity’. Indian languages are not just about reading and writing. This is but one dimension. They are better represented as integral knowledge systems because their design allow us to understand nature in different ways that going beyond textual information download. It is important for every Indian-origin parent to teach their child their mother tongue. ‘Amma’ is not the same as ‘mom’ or ‘mummy’. Tamizh appears to possess an open architecture that is characteristic of dharmic thought systems and this is a topic for further research by traditional scholars. Rather than ‘holistic’, such Indic systems are more accurately characterized as ‘holographic’, with each component of the system reflecting other components . The cultural framework associated with the integral knowledge system representing Sanskrit is Sanskriti, and its Tamizh counterpart, we denote as ‘Kalacharam’. Let us understand this starting from scratch, keeping in mind a line from a recent Tamil movie: English is but a language, it does not necessarily represent knowledge! To get an idea of the level of understanding about India that exists among the English speaking elite (click here for தமிழ்), we present excerpts from a recent bestseller  that discusses a conversation in the Lutyens (You can buy this book here). “…The artist, meanwhile, is talking with the academics about her recent exhibition on mass graves. They purr in appreciation and on the spot issue her an invitation to come and speak at a conference they are organizing on ‘Fragments of Nationhood: Notes on a Country That Is Not a Country’…. …. ‘This is an interesting theme. In fact, one would think from reading several Indian scholars – though I must confess I read only English and not any of the other languages – that the idea of India itself is a creation.’ ‘Exactly right,’ says the younger of the academics, her smug face cracking to reveal a smile. Indeed, a civilizational bond unites Bharata in a sacred, as well as the material sense since times immemorial, and this has been documented in our history and culture pages. In fact, this unity is perhaps the deepest kind of coherence the world has seen. 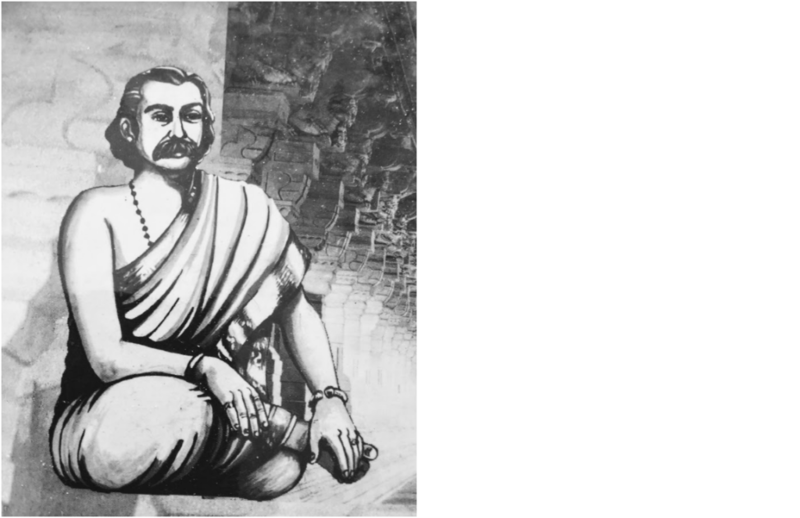 One of the best examples of the output that arose from, and promoted such a consonance is the Natya Shastra, whose author, Bharata, and its foremost commentator, Abhinava Gupta, are mentioned as hailing from Kashmir. A strong validation of the strength and reach of this civilizational coherence would be a demonstration of its ability to transcend the ultimate ‘tyranny of distance’ in India – between Kashmir and Kanyakumari, and show that Tamizh and Sanskrit, two languages that seem furthest apart to so many Indians today, are rooted in this very same unity. In fact, we hope to go beyond this and argue that Tamizh and Sanskrit share a bond that is deeper and longer than other Indian languages. The book excerpts in the previous section mention Natya Shastra and its regional variations and the enormous scope and range of this amazing work. The Sanskrit work of Natya Shastra, which was created well before the common era, is credited to Bharata Muni. 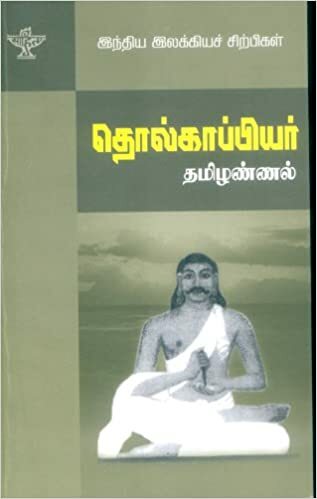 A most ancient Tamizh work that is available is the Tolkappiyam by Tolkappiyar. The 13th century commentator Adiyaarkunallar mentions that there were two major Tamizh works before Tolkappiyam: Agattiyam and Bharatam, but were no longer available in their original form. The former refers to the work of Bharata Muni, and the latter represents the main body of work of Agastya Rishi . Interestingly, some contemporary Tamizh authors speculate in the opposite direction, namely, Natya Shastra came from the south, and theorize their own interpretation of Bharata. The focus of this article is not on some self-defeating linguistic crab race. Rather, we are trying to better understand the reasons for a consonance in the deep and sacred thoughts expressed in Tamizh and Sanskrit. Toward this, we start at the very beginning with Sage Agastya. Rishi Agastya is mentioned by the Mahakavi, Subramaniya Bharati in his poem on Tamizh Thaai (‘Mother Tamil’, around 1919). 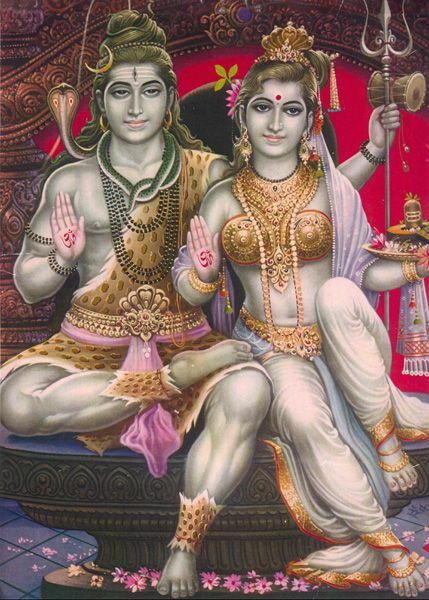 Here Tamizh is revered as the daughter of Shiva , and a peer of Sanskrit, and Agastya delights in the knowledge of Tamizh. An ancient belief of the Tamizhs was that Sanskrit and Tamizh come from the same source – the sounds emanating from different sides of Shiva’s Damru (drum). The knowledge of Sanskrit went to Paanini (the ‘Siva Sutras’), and Tamizh to Agastya. Note that Shiva is one who has neither beginning nor end. Therefore, Tamizh and Sanskrit being rooted in Shiva, have no independent existence. Since there was no ‘other’, the question of one language ‘dominating’ the other was moot and both languages co-existed in mutual respect. Let us examine some more significant mentions. 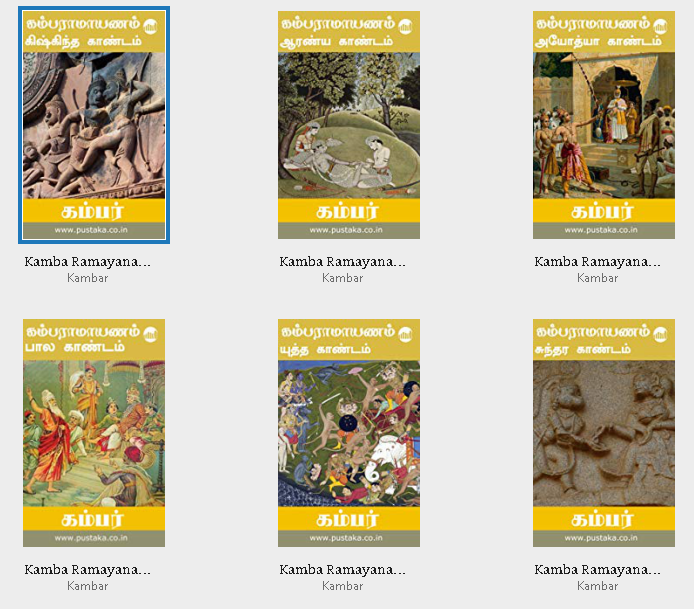 Prior to Bharathiyaar, let us study the greatest ever Tamizh work, the Ramavataram, which is the Tamizh version of the Ramayana by the poet Kambar (circa 12th century CE). In the Aranya Kandam , we learn about the prowess of Agastya, and the beauty and profundity of Tamizh, which was given to Agastya by Shiva himself. From the epic about an avatar of Vishnu, we learn that Tamizh contains within it the knowledge of Shiva. If we go further back, it appears that Paranjothi (the commander-in-chief of Pallava king Narasimhavarman (7th century CE), and one of the greatest Tamizh rulers ever) who became a great saint and authored the Thiruvilayadal Puranam, mentioned these points too . Furthermore, the great Kalidasa (between 1st to 4th century CE) alludes to Agastya Rishi in Southern India in his Sanskrit work Raghuvamsam . Similarly, the dance and music traditions of the Tamizhs are also quite ancient. Agastya was received by Indra, the king of Devalokam, to join in a celebration (‘Indra Vizha‘) after the defeat of Vritra. Urvasi, the celestial dancer who was giving a performance caught a glimpse of Indra’s son Jayanta in the audience. In that moment, she fell in love with him. Narada Muni duly obliged by playing a off note on his Veena, causing Urvasi to lose her step. Agastya, being the master of dance and music (recall he was instructed by Shiva, who is also Nataraja) considered this an insult. He cursed Urvasi to be born on earth. Narada Muni’s Veena too came down to earth. Some say that Jayanta too was cursed to be born on earth, and Madhavi (the danseuse in Ilango Adigal‘s Silapathikaram) was the daughter of the mortal Jayanta and Urvashi. Dr. R. Nagaswamy mentions that a special school for music and dance in Southern India was created by Agastya following the concepts set forth by Bharata . When we enter the time frame of recorded history, Dr. Nagaswamy notes a continuous development of dance since 1st century CE in Tamil Nadu. It is said that the celestial dancers Urvasi and Rambha personify dance, and music, respectively. It is apparent that since ancient times, Tamizhs viewed, without any tension, the material-transactional world as being seamlessly integrated with the sacred-transcendental. In recent times, the great 20th century mathematical genius, Srinivasa Ramanujan, attributed his astonishing mathematical insights to the Goddess Namagiri. Thus, Tamizh, like Sanskrit, was always rooted in this unity that is integral in nature. There is no dichotomy of independent existences for sacred and secular domains whose conflicts have to be reconciled to synthesize a solidarity, which is more emblematic of western thought systems . Why do we bring up dance and music when we talk about language? Tamizh is not merely text and literature, but is recognized as ‘Muthamizh’ that consists of Iyal, Isai, and Naatiyam, i.e., the trinity of literature, music, and dance. Muthamizh denotes the integral knowledge system we mentioned earlier. Beyond the ability to parse texts and obtain book knowledge, India gives prime importance to embodied knowing, where knowledge of both the material and the transcendental realm can be gained by direct personal experience. Indian music and dance also serve this purpose. However, these elements of Muthamizh cannot be fully mastered by treating them as independently existing subjects. In our culture page, we highlighted the inter-connectedness of Indian art, literature, science, economics, etc., which arises naturally from the Indic view of an interdependent cosmos. The ever growing accumulation of knowledge and wisdom via textual, oral, and embodied learning possible via Muthamizh gives us kalacharam, the distinct cultural framework of the Tamizhs. A quick recap of what we have studied so far: we recognized the dharma civilizational origins of Tamizh, its dance and music, and its Kalacharam. Furthermore, its ancient ties to Sanskrit is recognized in itihasa and has been reaffirmed by distinguished Tamizh commentators over two millennium. Why then are so many of today’s Indians, including Tamizhs, unaware of such facts? In order to learn the reasons, we annotate and briefly discuss some fact-driven conclusions presented by Michel Danino in his essay . Please refer to the linked article for complete details. Note that the Aryan/Dravidian racial dichotomy is a relatively new creation that was introduced during the British occupation. This was a period of unimaginable despair. India was being looted using a brutal centralized system of taxation, and simultaneously, its decentralized education and socio-economic systems were being systematically uprooted. Traditional livelihoods were lost and people were forced to compete for food, resources, and jobs. In such an atmosphere, it became relatively easy to sow the seeds of doubt, tension, and discord. It is worthwhile to briefly diverge here to mention that those who actually put their lives on the line and fought against the British uncovered this truth early. Although the video clip showing the climax of the 1959 movie ‘Veerapandiya Kattabomman‘ is less famous than some other scenes in this film, it assumes importance in the contemporary context. It contains a brief but stirring reversal of the gaze upon the predatory colonial mindset, followed by an exhortation to unite against them and to not fall prey to their divisive agenda. Here, Kattabomman urges his countrymen to not turn sepoy and serve the occupier. He implores even those who betrayed him: the colonial masters who are here today will be gone tomorrow; do not live your life based on their words, for we, who are born in this same soil, have to live with each other in dignity long after they’re gone. After presenting archaeological and material evidence of the Indian civilizational roots of Tamizh culture, Danino proceeds to discuss the literary evidence in the Sangam literature. Part-2 of this article is focused on this subject. Before we proceed, let us summarize what we have covered so far to set up the concluding part of this study. To the best of our knowledge, there is no factual basis for either of the 19th century theories: the Aryan theory of Max Mueller, and the Dravidian theory of the Catholic Bishop, Robert Caldwell that was postulated a few years later. There is no mention of either in prior texts or itihasa, in Tamizh or Sanskrit. Consequently, the argument of whether ‘Aryan’ preceded or succeeded ‘Dravidian’ is speculative at best and resides in the domain of conjecture. Hindu, as well as some Buddhist and Jain concepts (all of them dharmic thought systems) were deeply integrated into Tamizh thought since the earliest of times. Some of the greatest Tamizh scholars and literary figures throughout history recognized the origin of Tamizh and Sanskrit from the same source. These languages are anchored in dharma. Tamizh receives high praise in the Ramayana, which also exemplifies a Shiva-Vishnu harmony. Ancient tamizh thought is rooted in a unity that seamlessly integrates the material/transactional with the spiritual/sacred. There is no dichotomy from an Indic perspective. There exists a long and continuous history of Tamizh literature, dance, and music that are revered as Muthamizh. The resultant cultural framework is Kalacharam that is both ancient and living, mirroring Sanskriti. The Heat and Dust Project: The Broke Couple’s Guide to Bharat, Saurav Jha and Devapriya Roy. HarperCollins, India. 2015. Tamil Arts Academy Publications, Dr. R. Nagaswamy. Indra’s Net: Defending Hinduism’s Philosophical Unity, Rajiv Malhotra. Harper Collins, India. 2014. Origin of Tamil and Sanskrit, S. Swaminathan, 2014. Kamba Ramayanam in English (Aranya Kandam), by P. R. Ramachandran. 2014. The Raghuvamsa of Kalidasa : with the commentary (the Samjivani) of Mallinatha ; by M.R. Kale,. Gopal Narayan and co., 1922. Acknowledgment: I am indebted to n.r.i.pathi for sharing several key ideas on this topic.